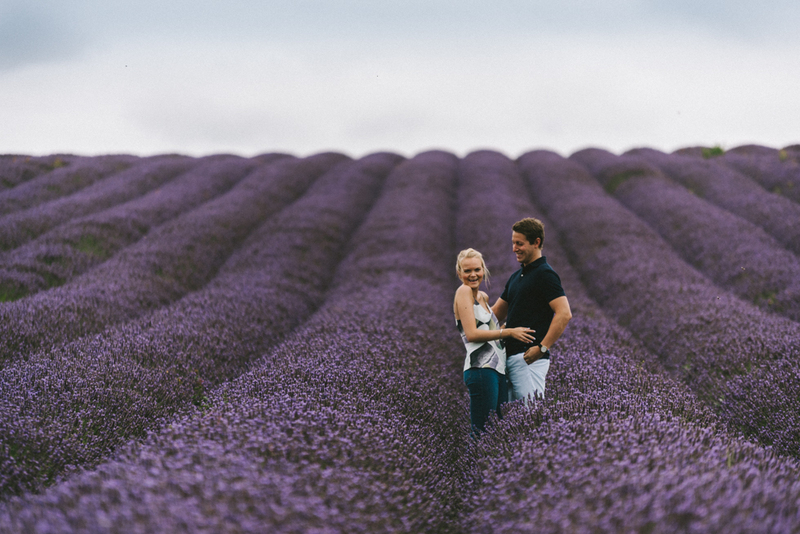 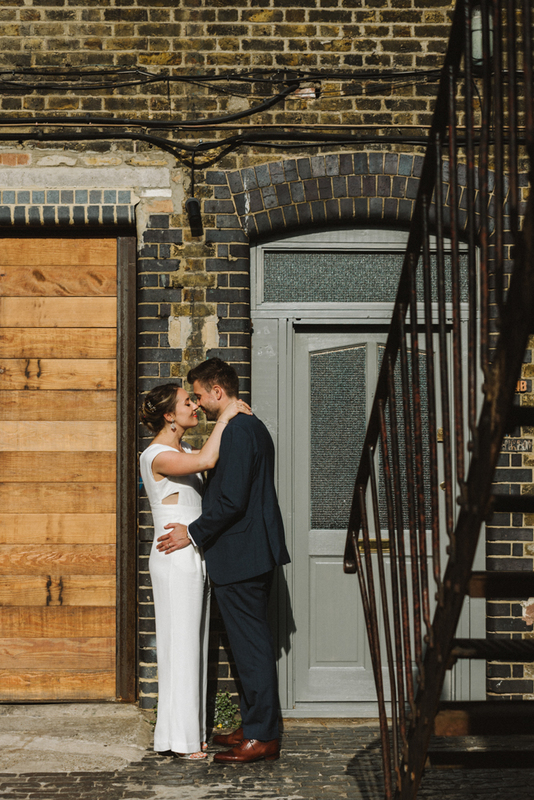 Two weeks before the wedding I met with Jess & Toby in King’s Cross for a catch up.. 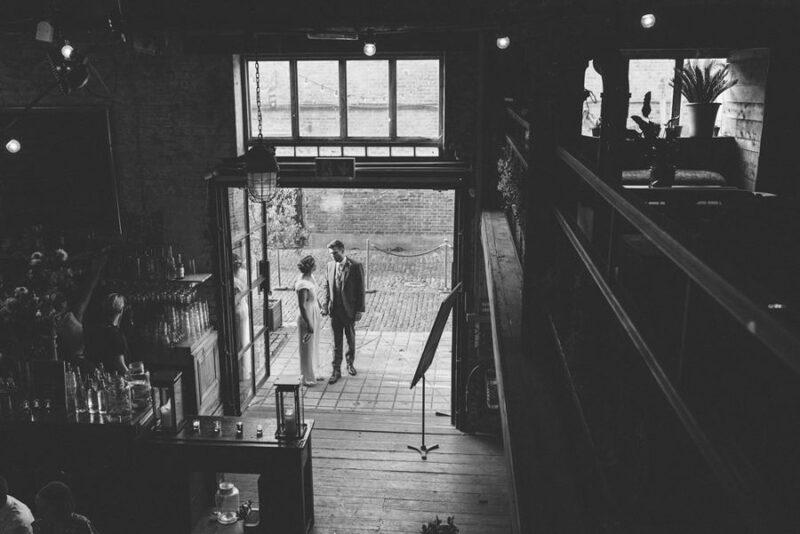 They were so laid back about everything, they really wanted this to be a day about love, family and friendship. 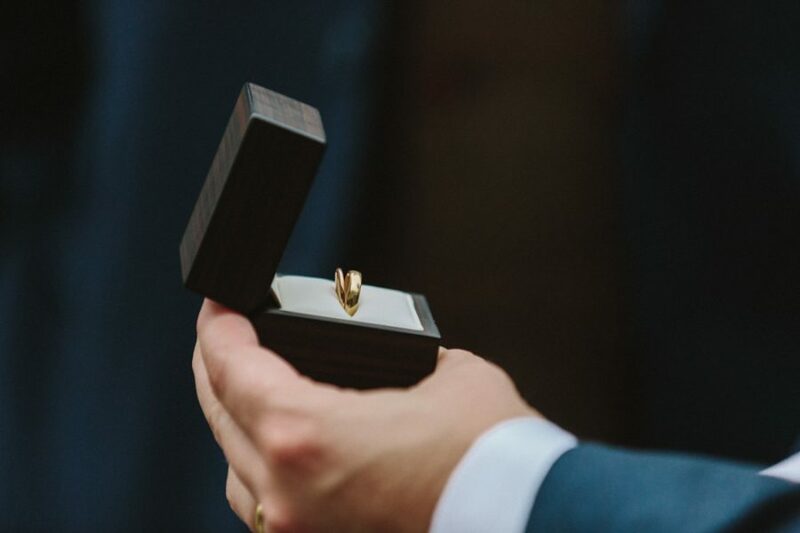 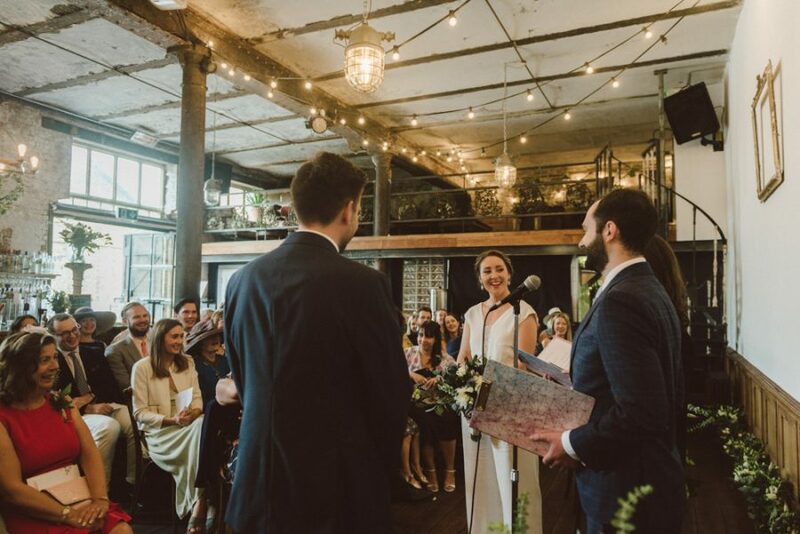 They had a humanist ceremony, conducted by two close friends. 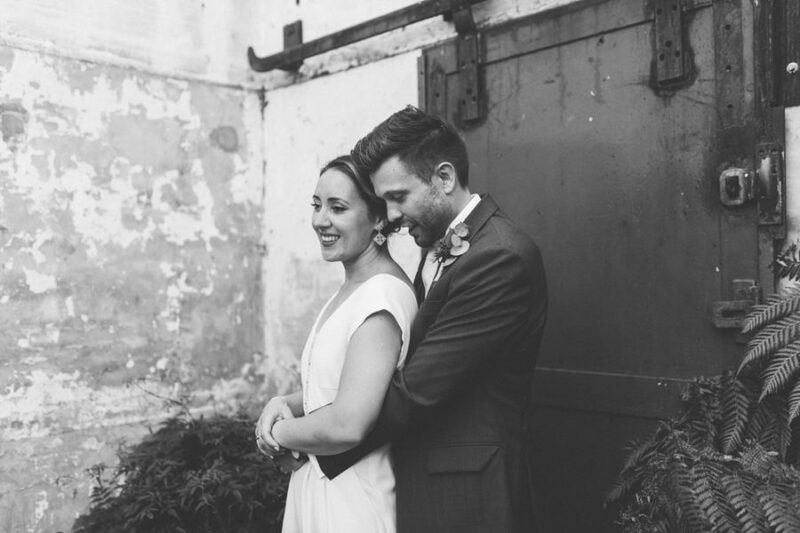 It reflected on their relationship and was extremely personal to Jess & Toby. 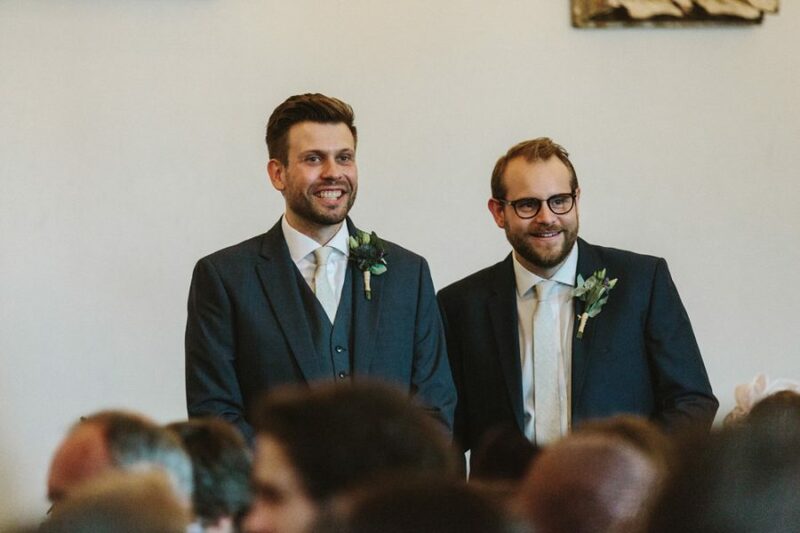 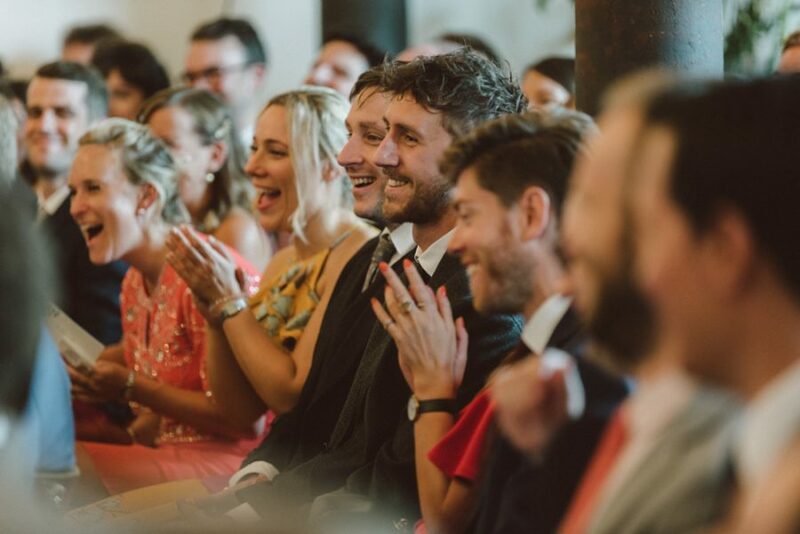 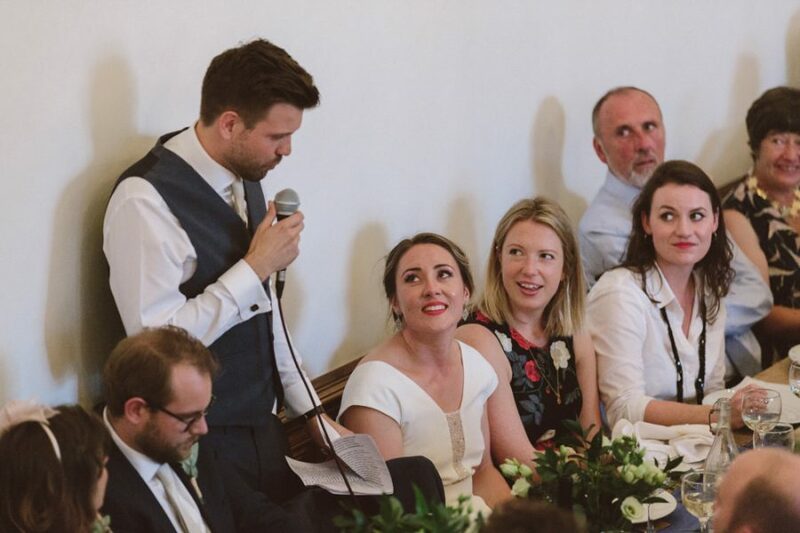 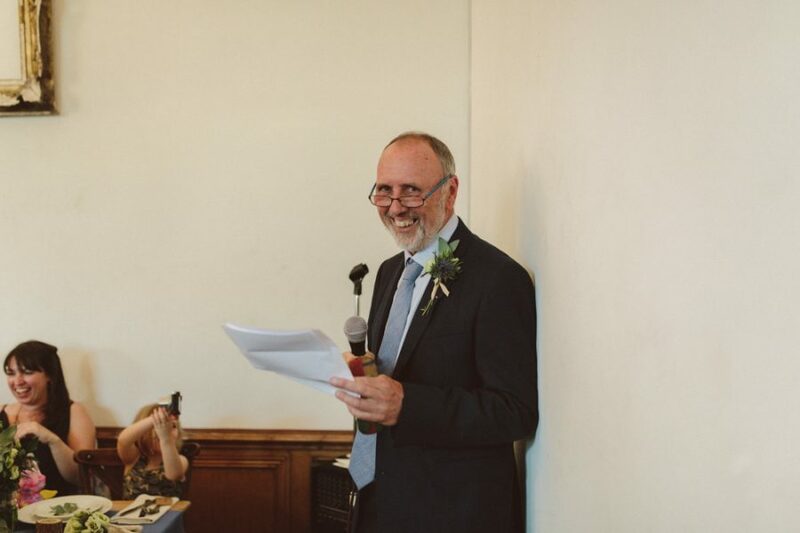 There were a lot of jokes too, some at Toby’s expense, which you can tell by some of the expressions mid-ceremony. 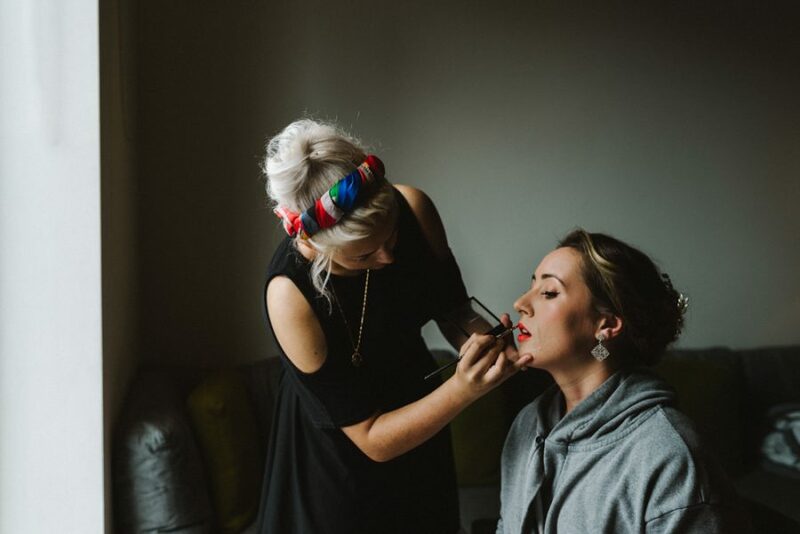 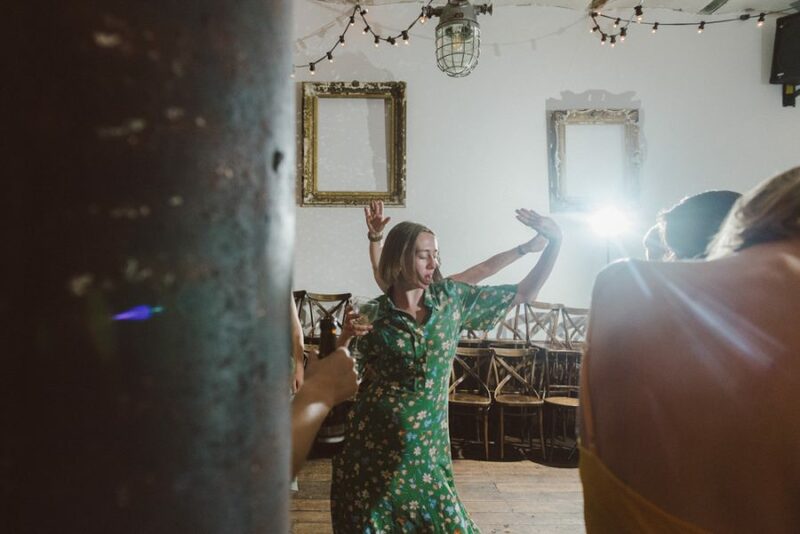 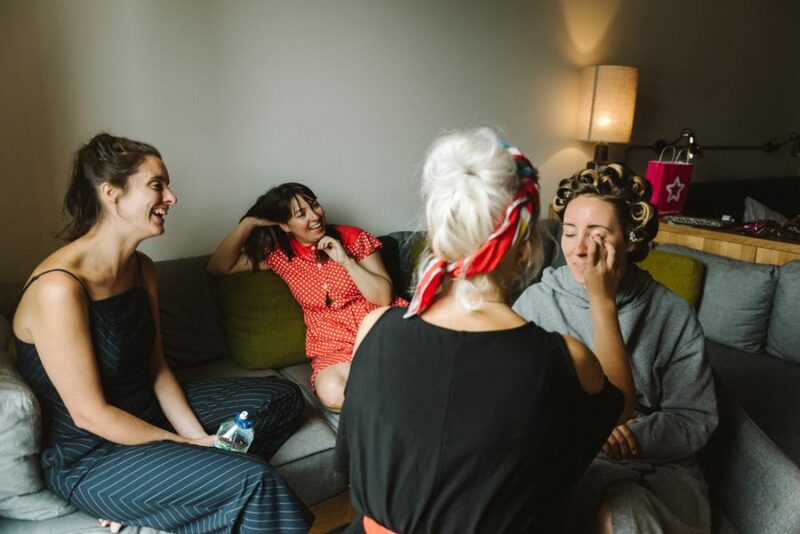 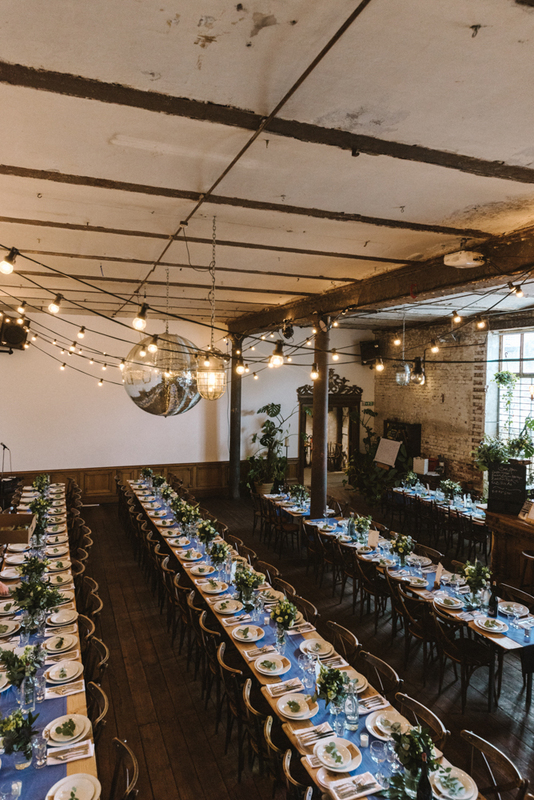 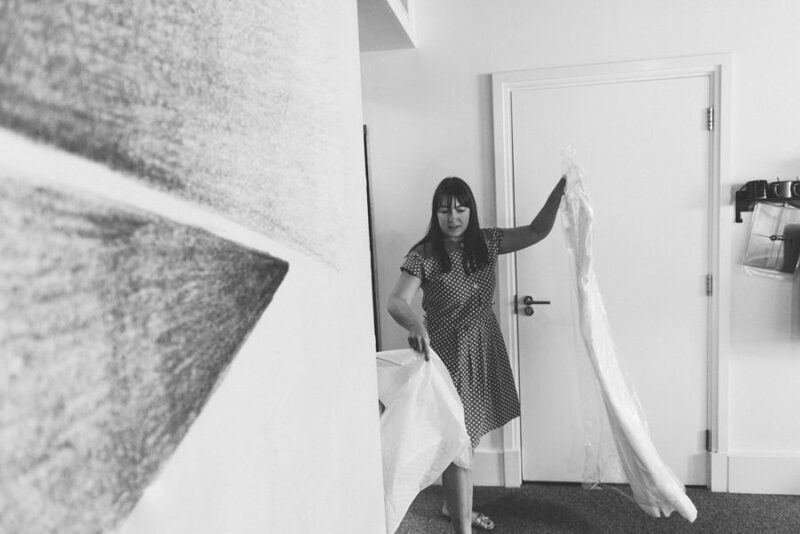 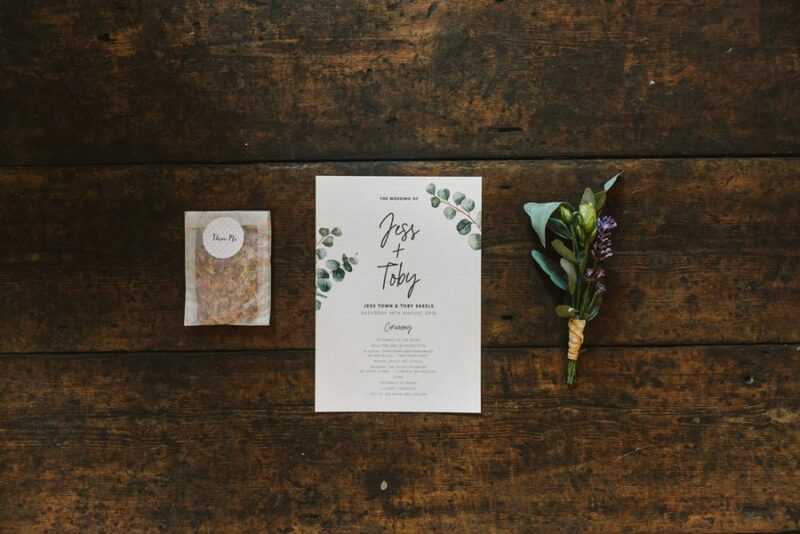 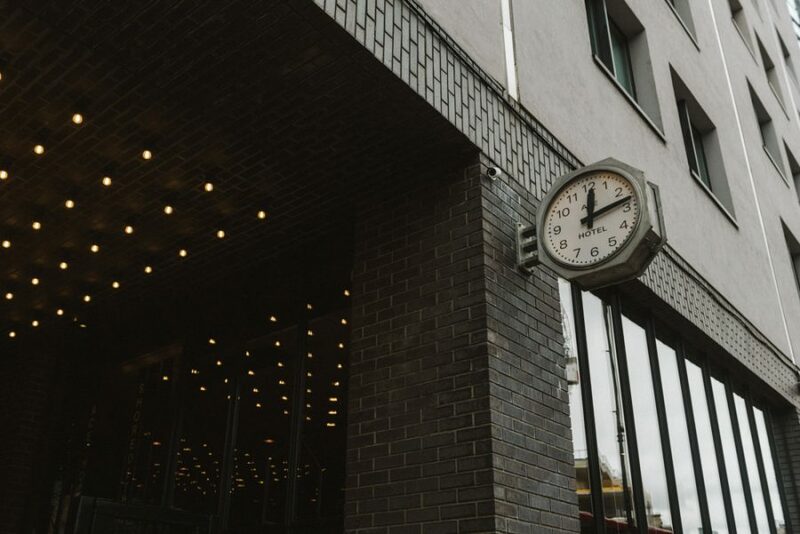 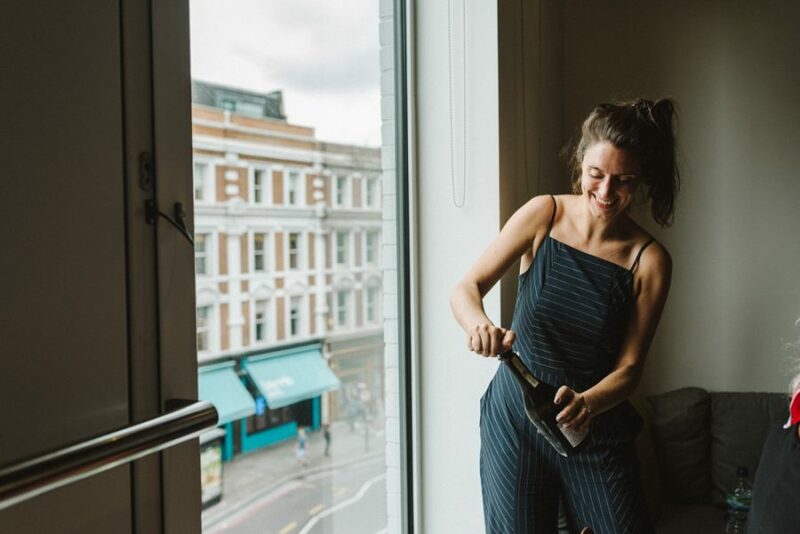 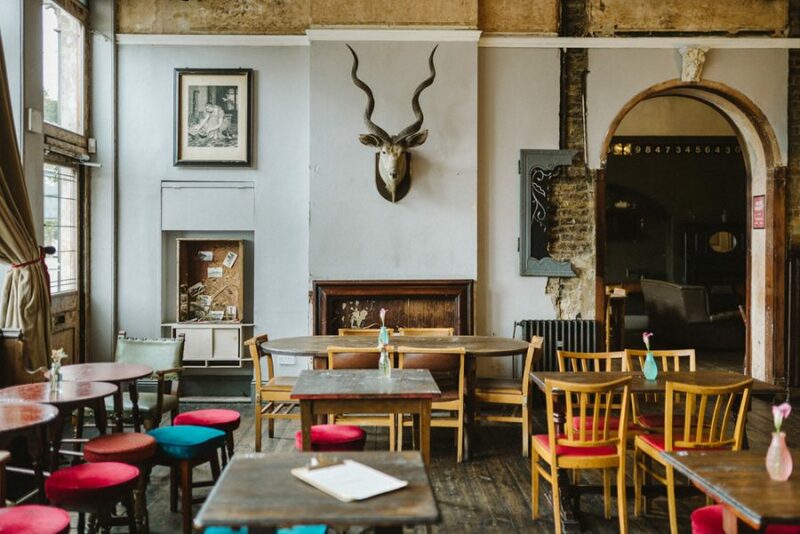 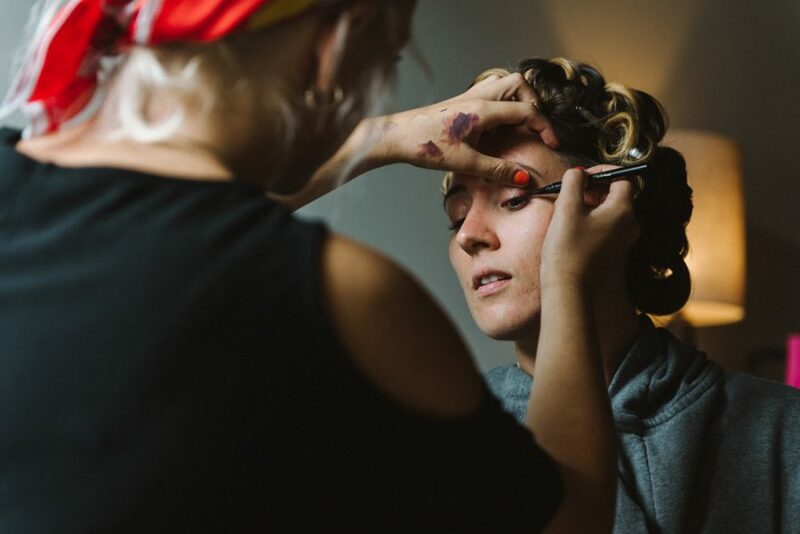 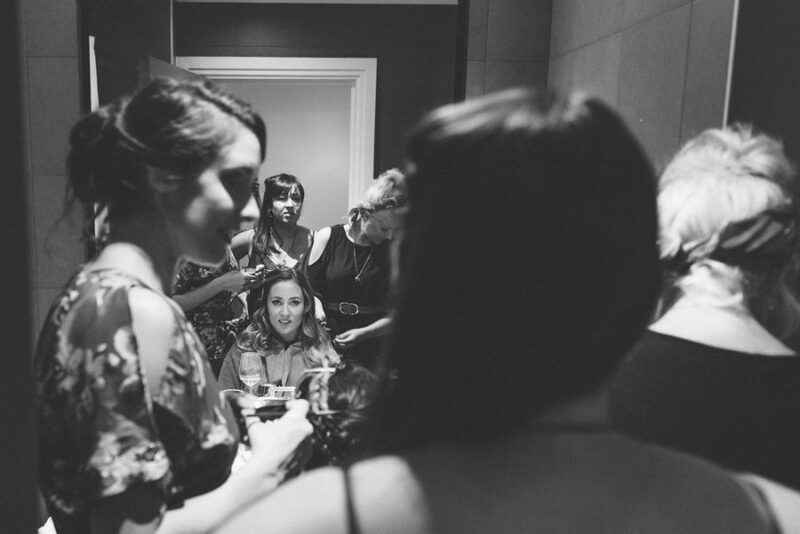 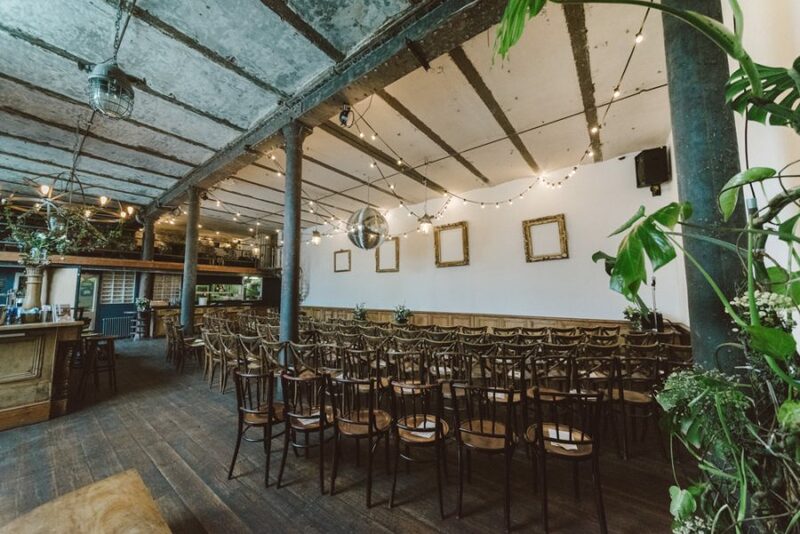 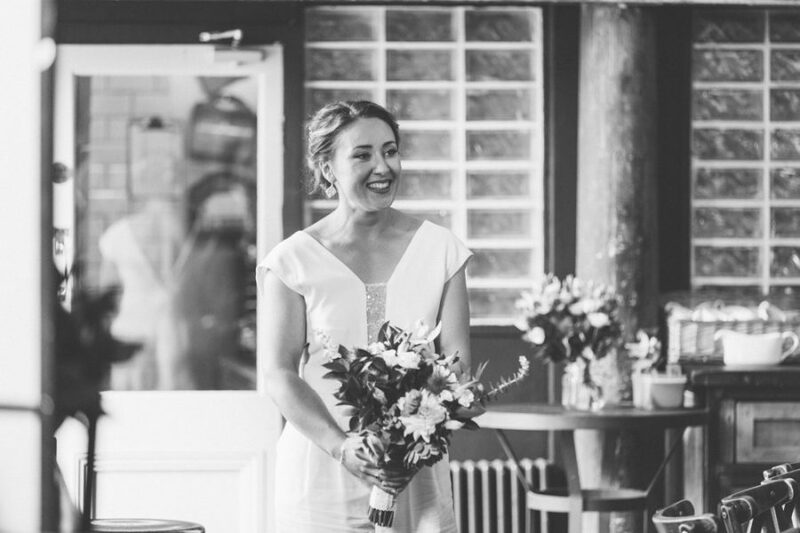 Jess got ready at the trendy Ace Hotel in Shoreditch, meanwhile Toby had lunch with his groomsmen at Clapton Hart Pub. 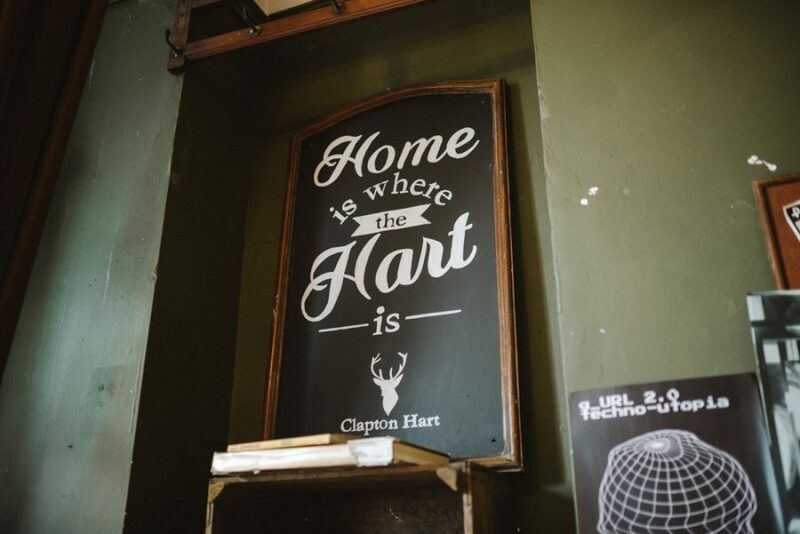 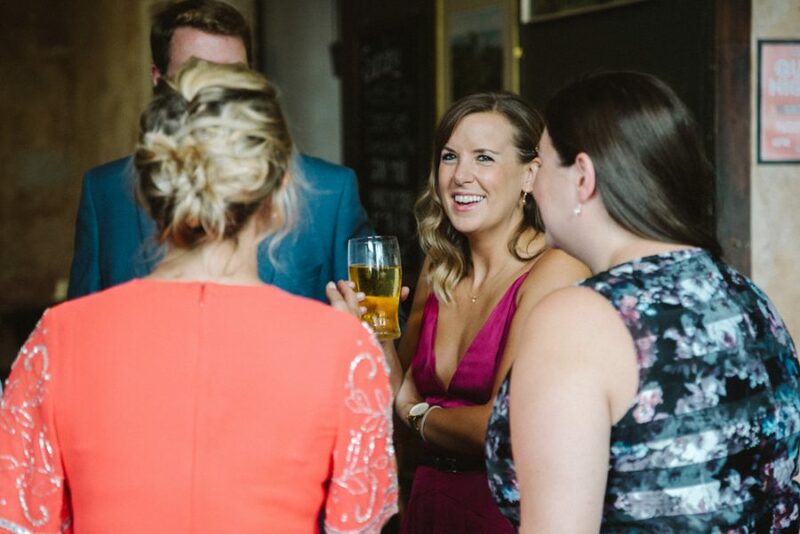 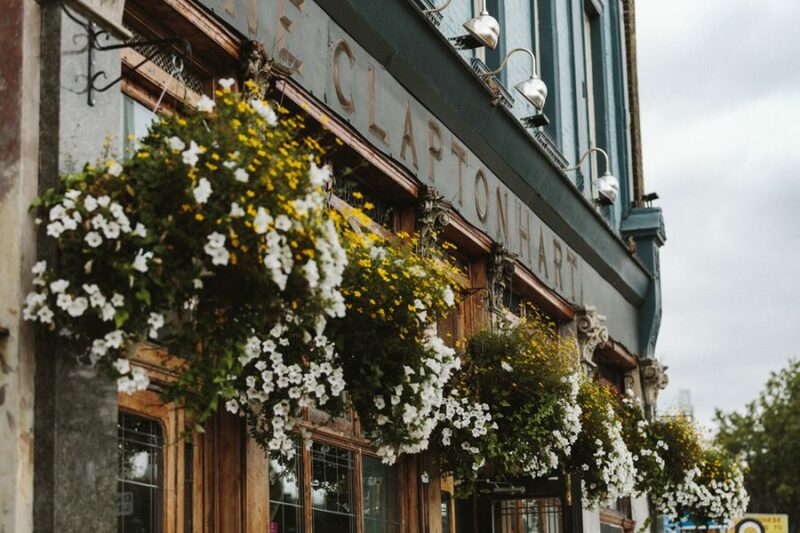 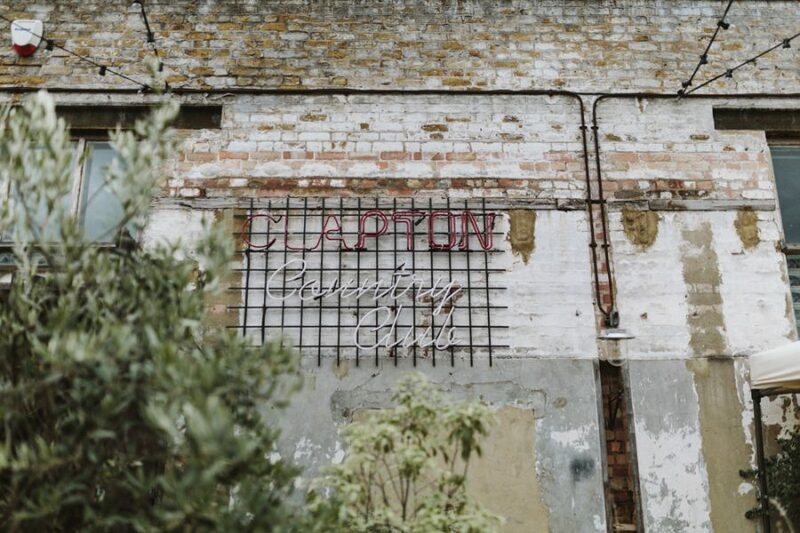 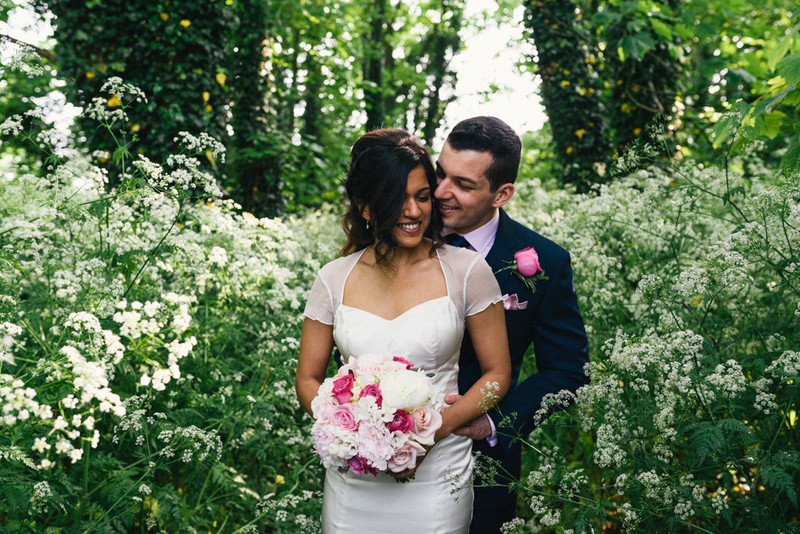 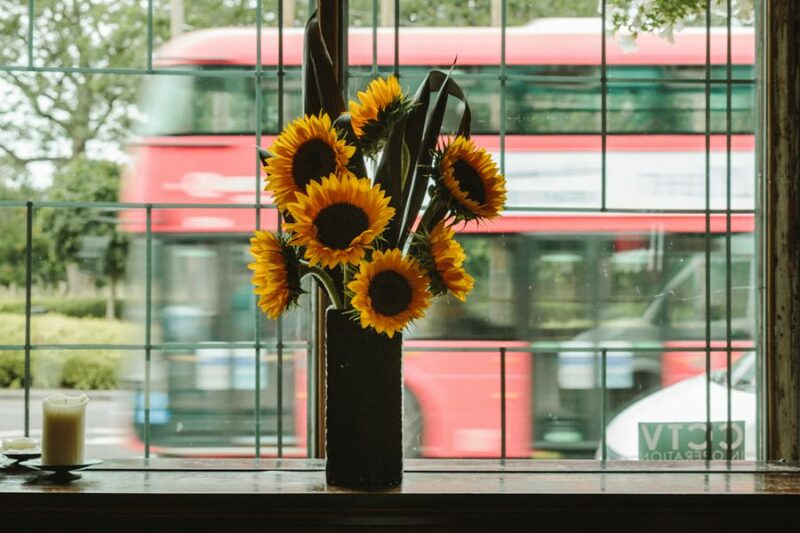 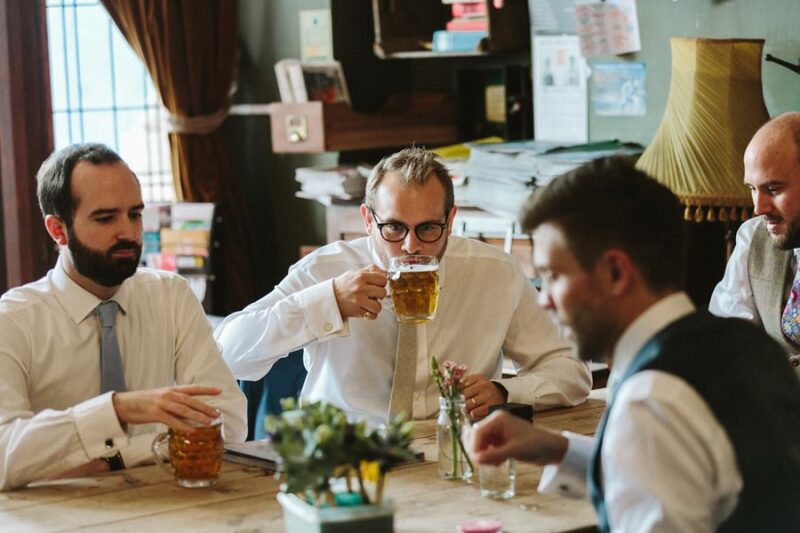 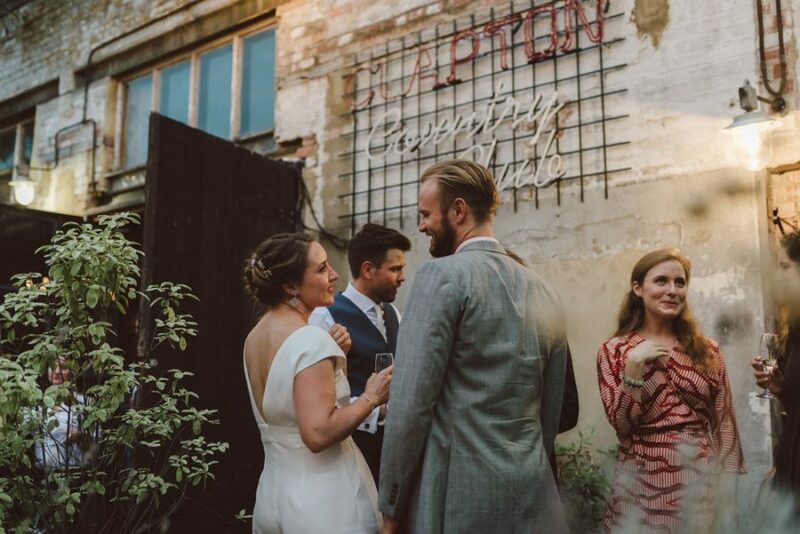 Guests met for pre-wedding drinks at the pub before walking the short two minutes to Clapton Country Club. 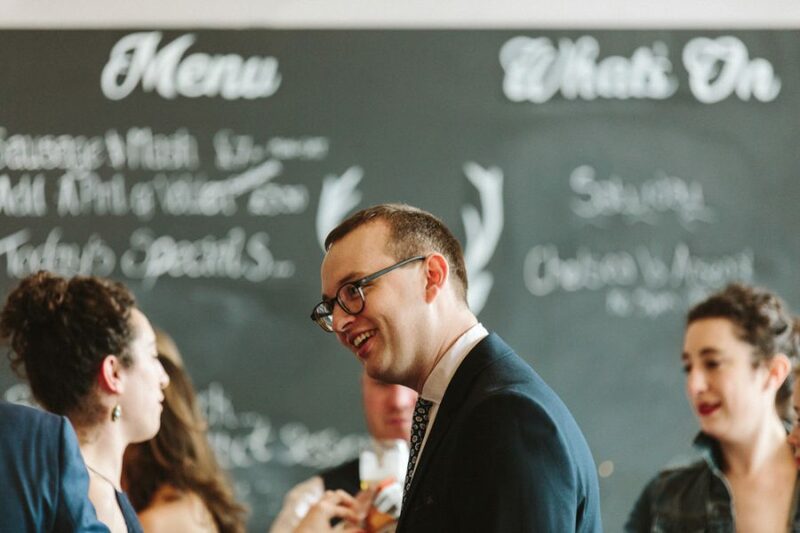 Second shooter Alex was on hand to capture Toby in the morning, and he stayed throughout the ceremony and reception to get lots of extra angles and candid coverage. 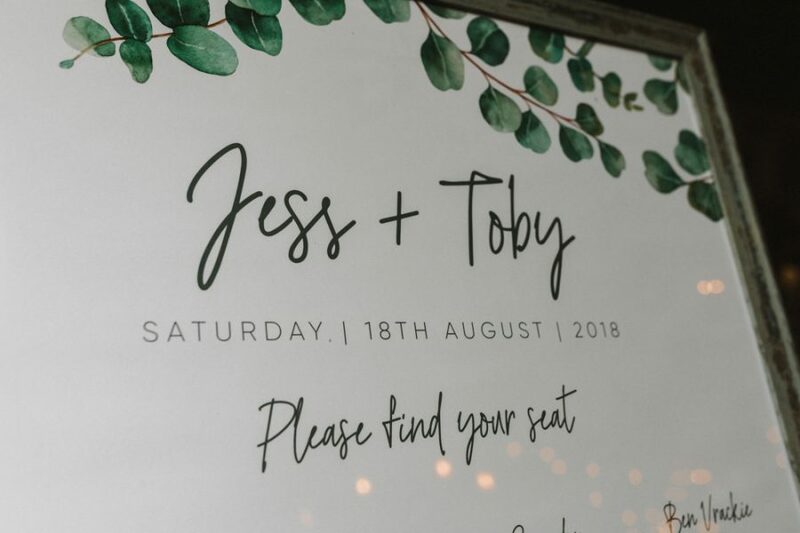 This is huge benefit for any couples with a large guest list (Jess & Toby’s was over 100). 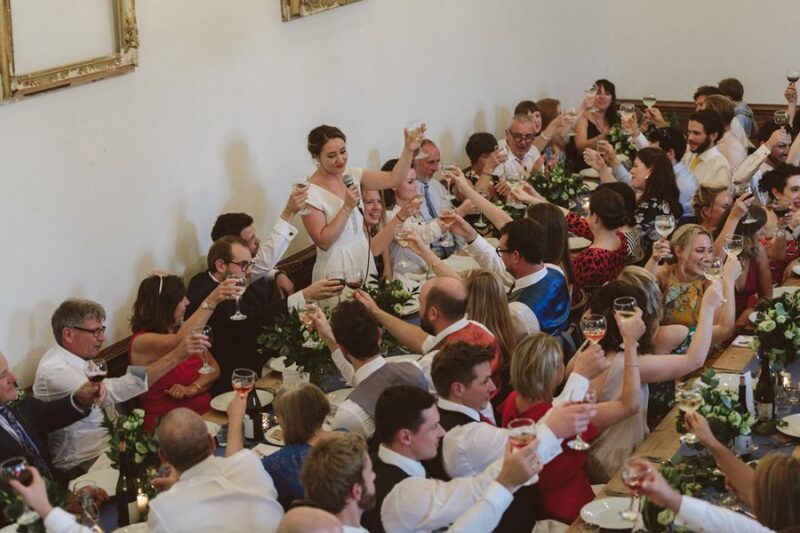 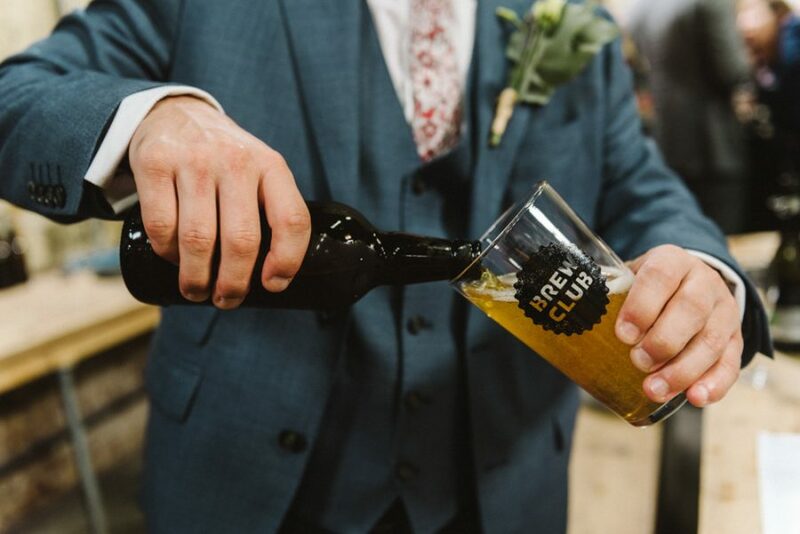 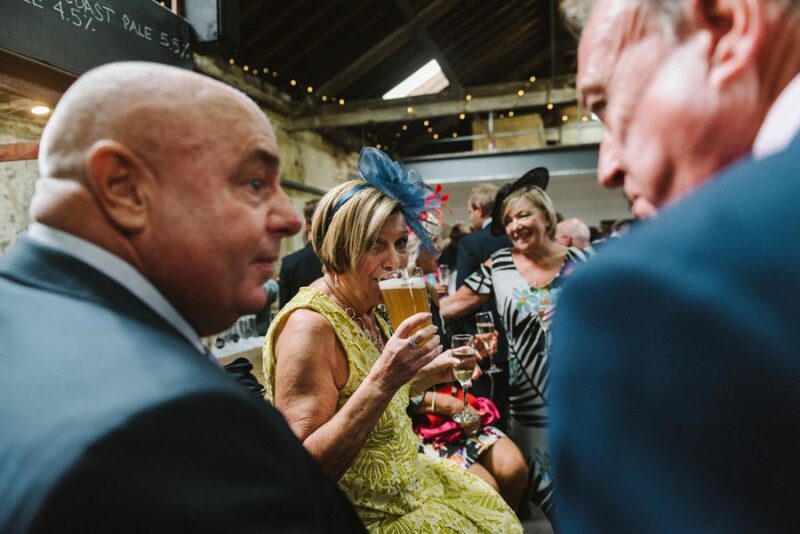 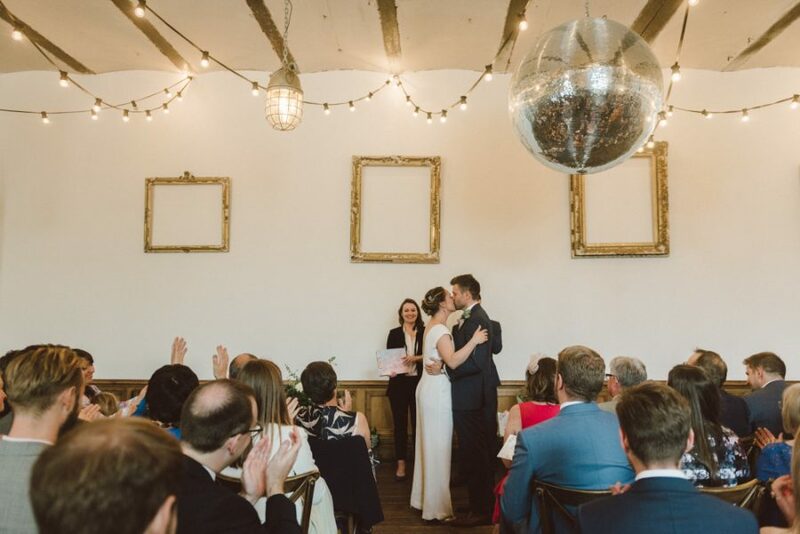 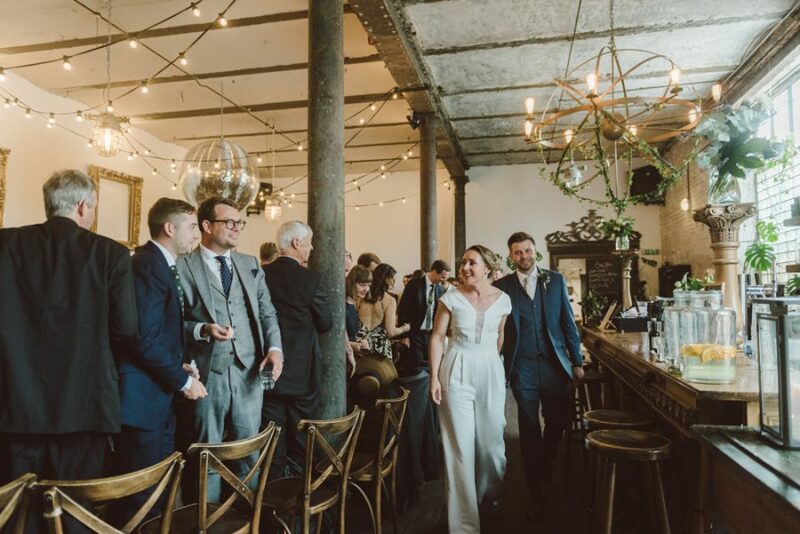 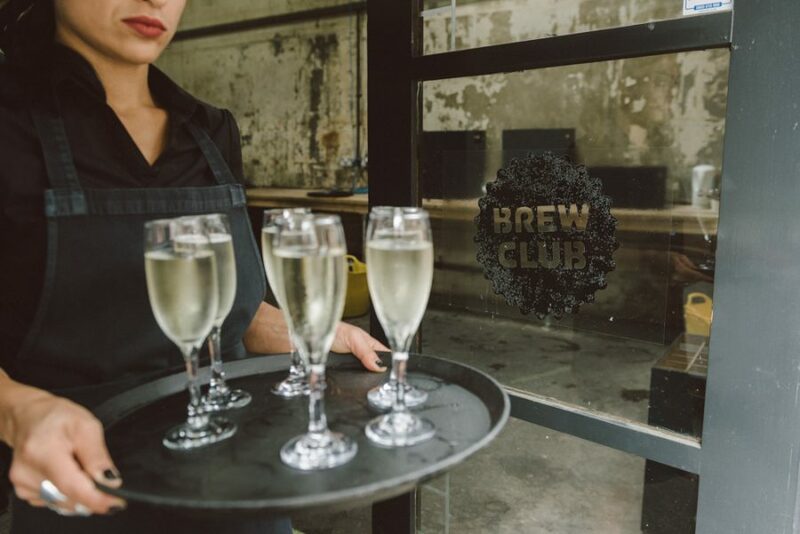 Following the ceremony, everyone piled into the Brew Club Brewery just across the mews for hand-brewed beer made by the couple themselves. 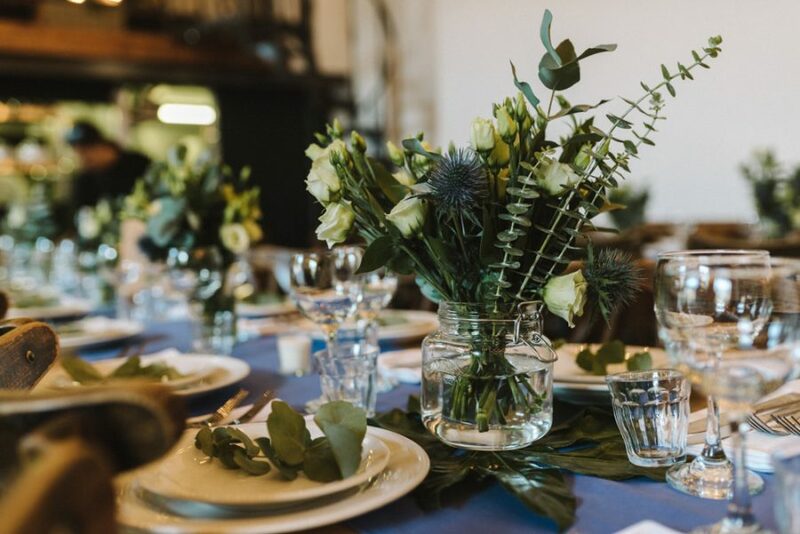 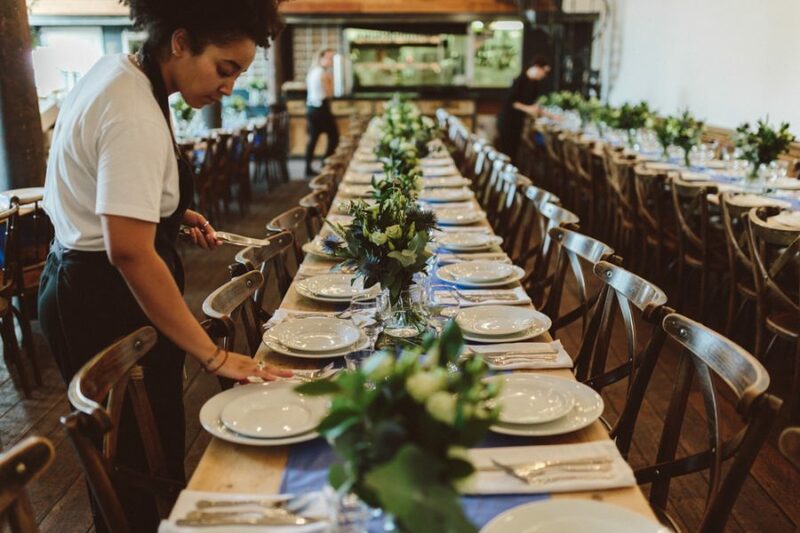 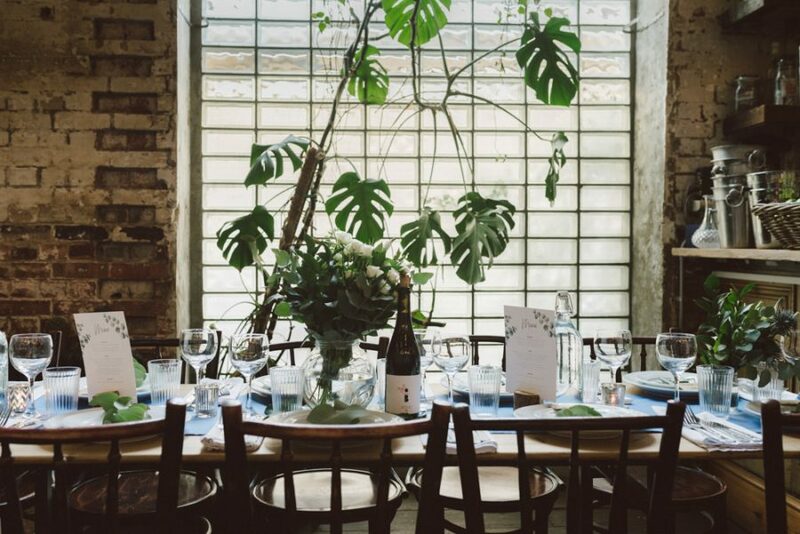 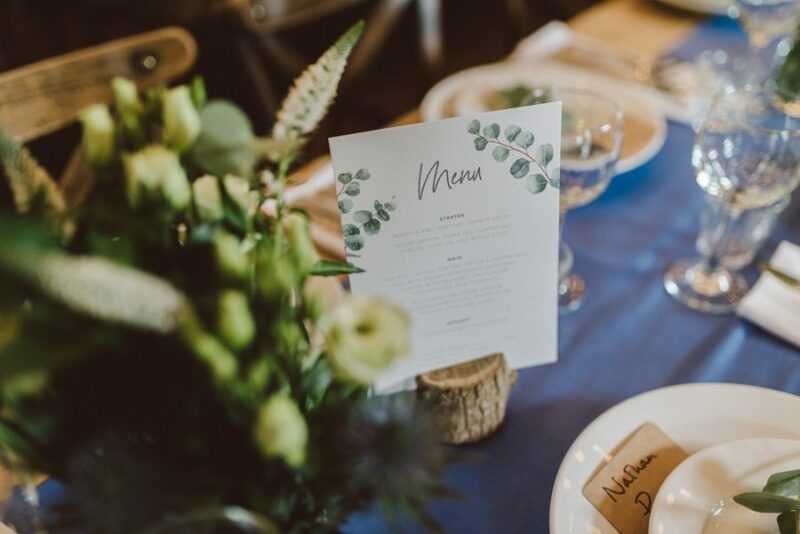 The long wedding breakfast tables were striking, decorated with fresh green foliage, (a continuation of the succulents gifted as favours). 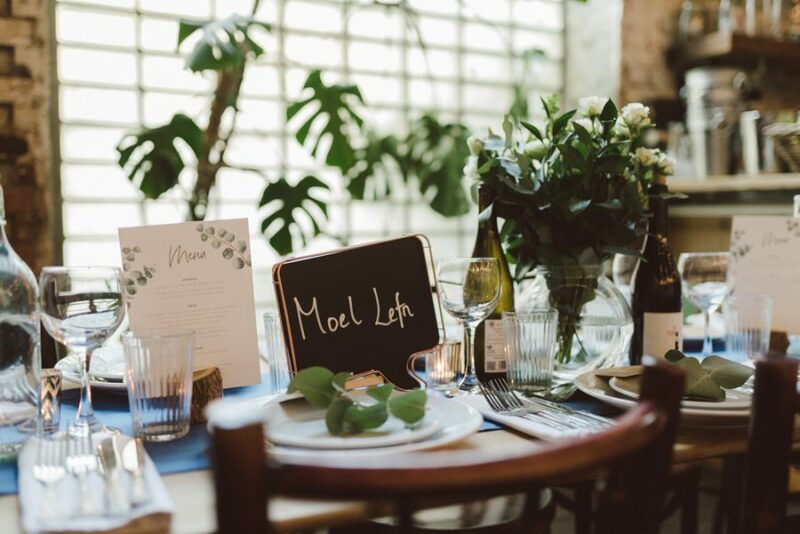 Each table was named after the couple’s favourite walks. 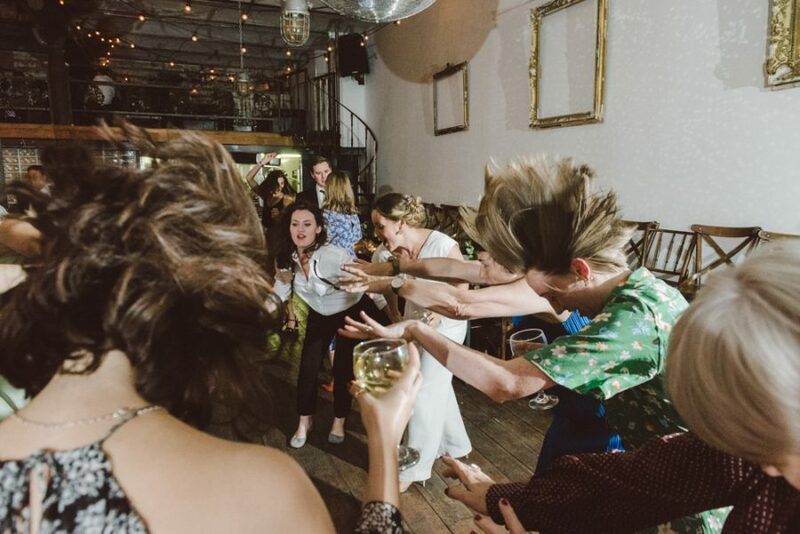 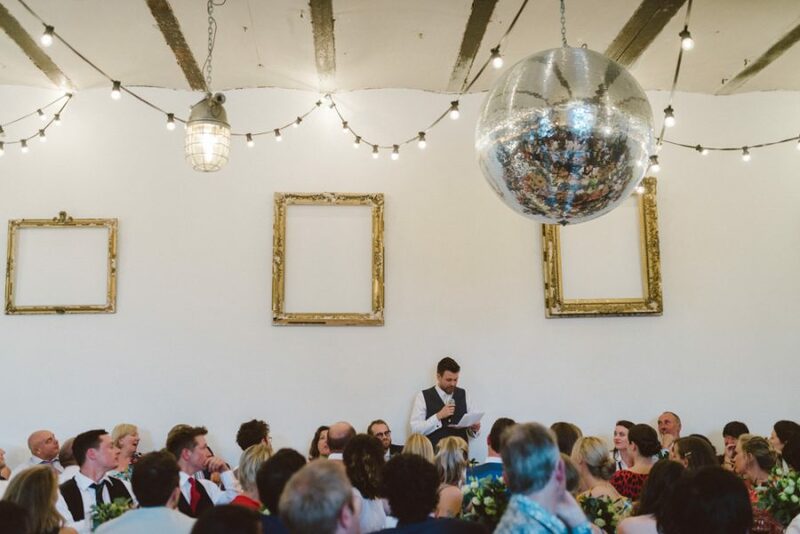 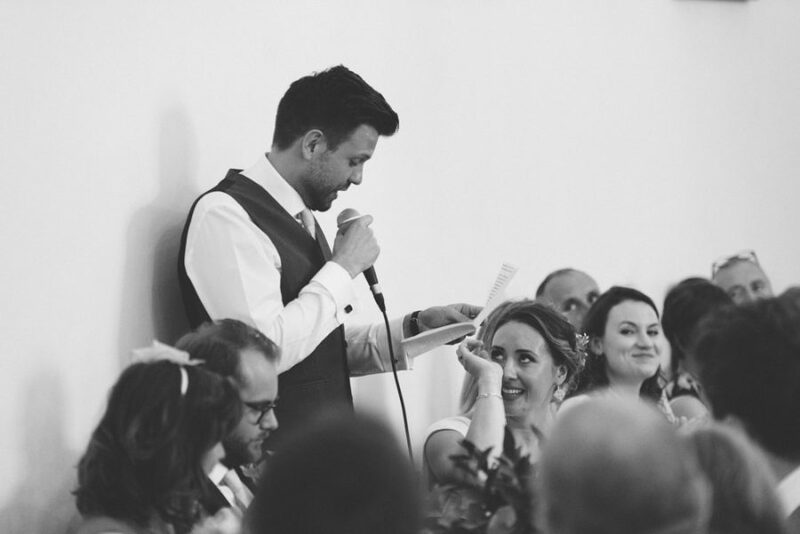 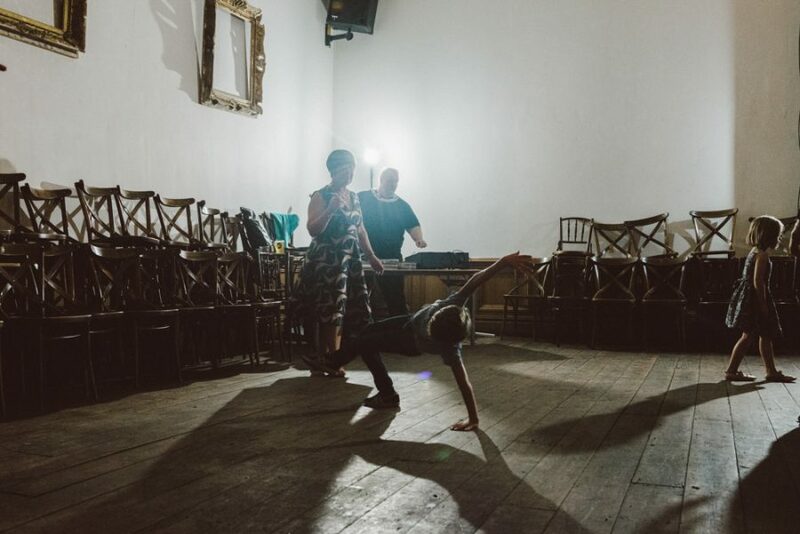 Instead of a first dance, Jess & Toby had picked a playlist of almost solely 80s and 90s tracks. 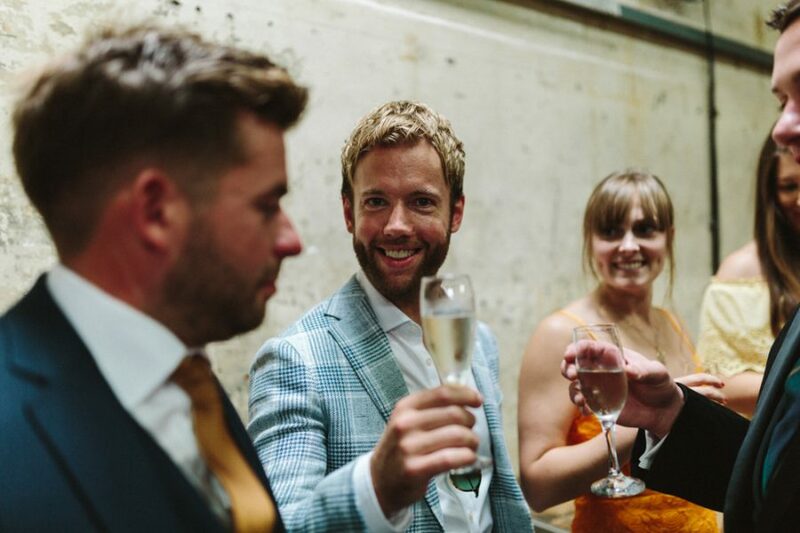 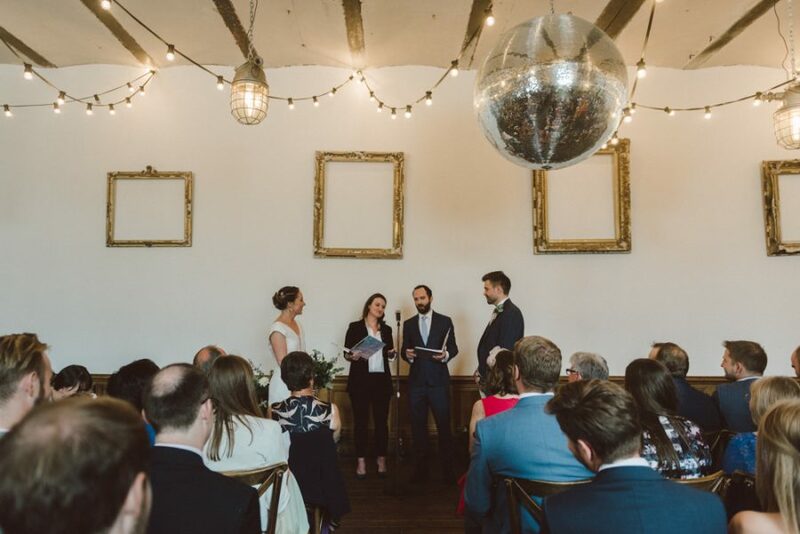 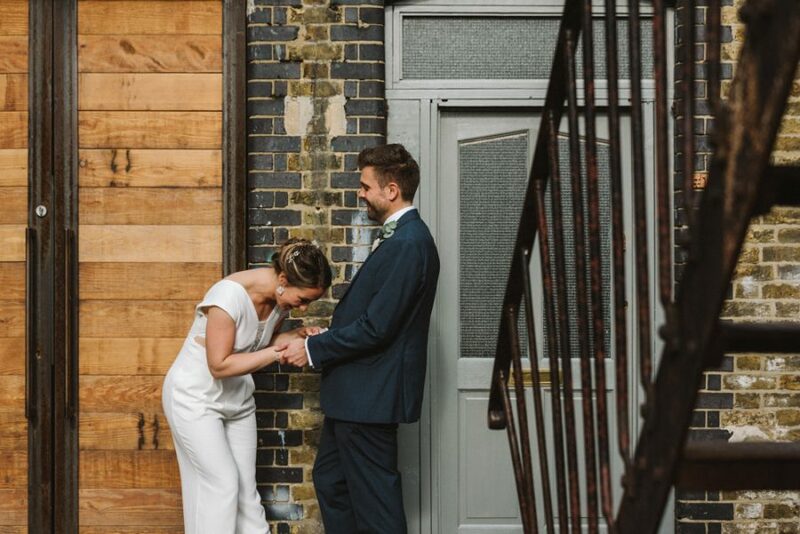 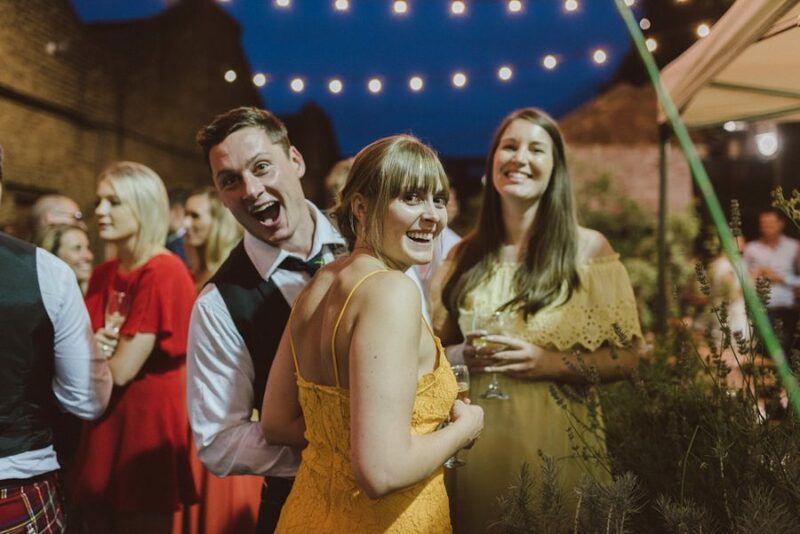 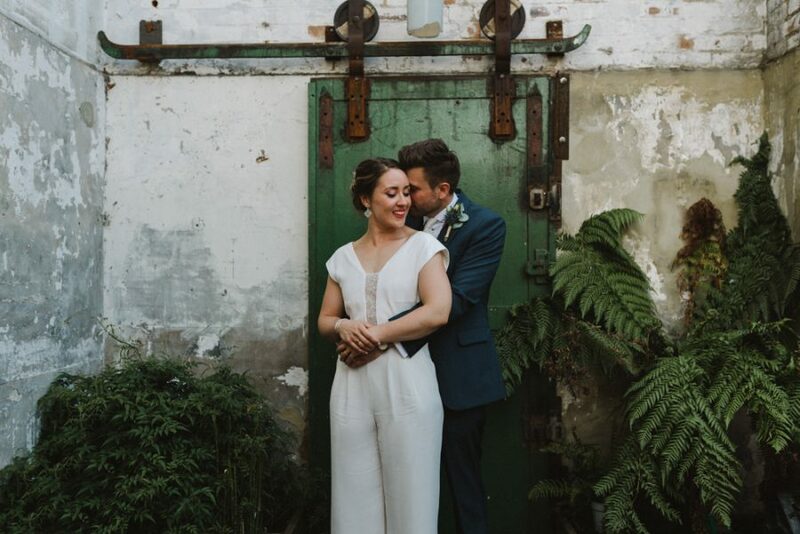 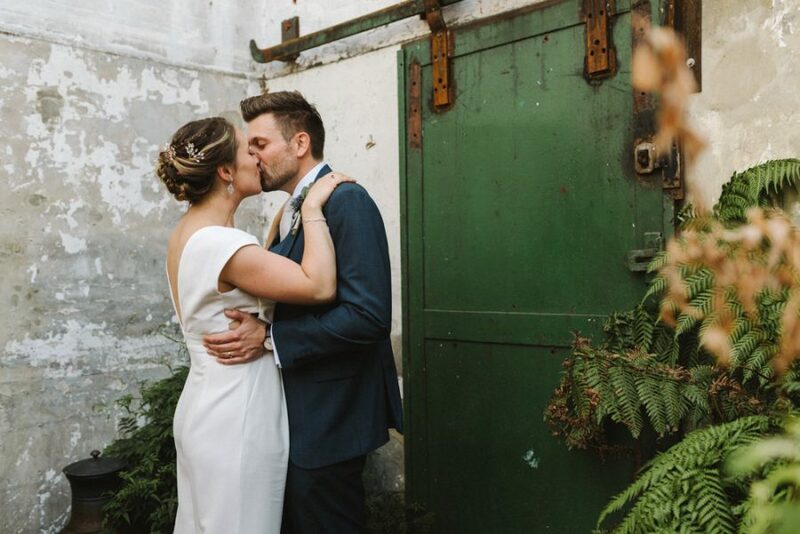 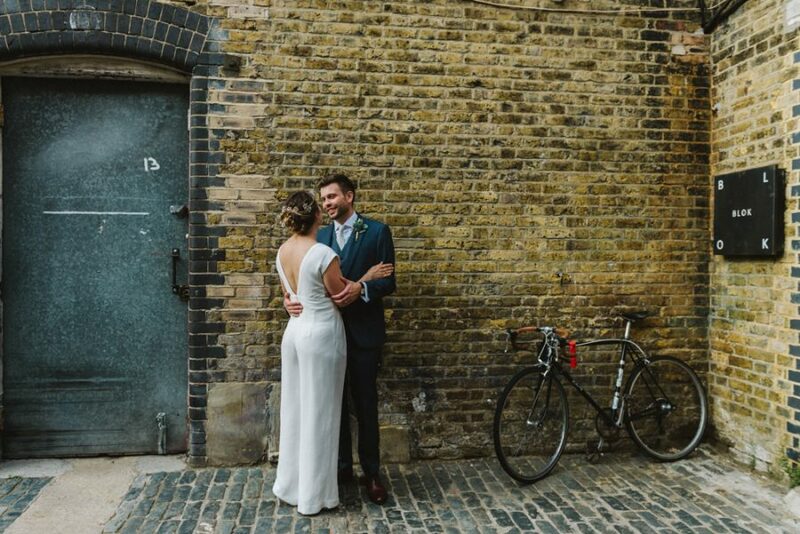 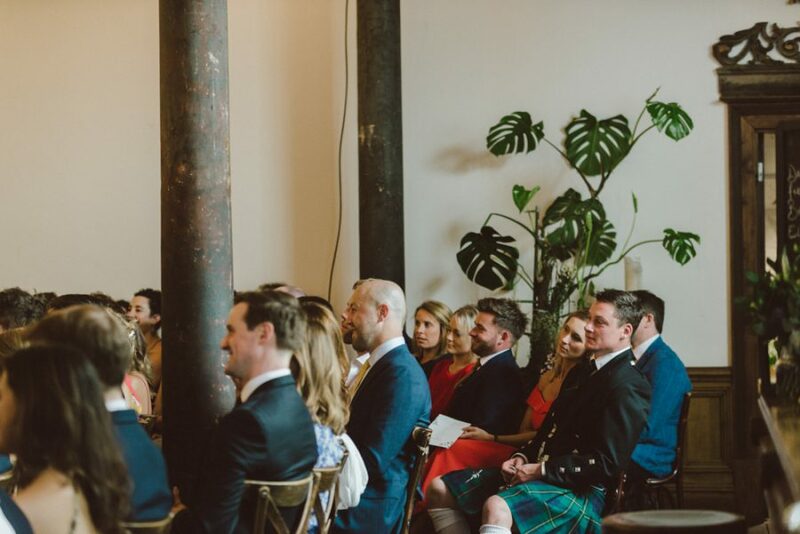 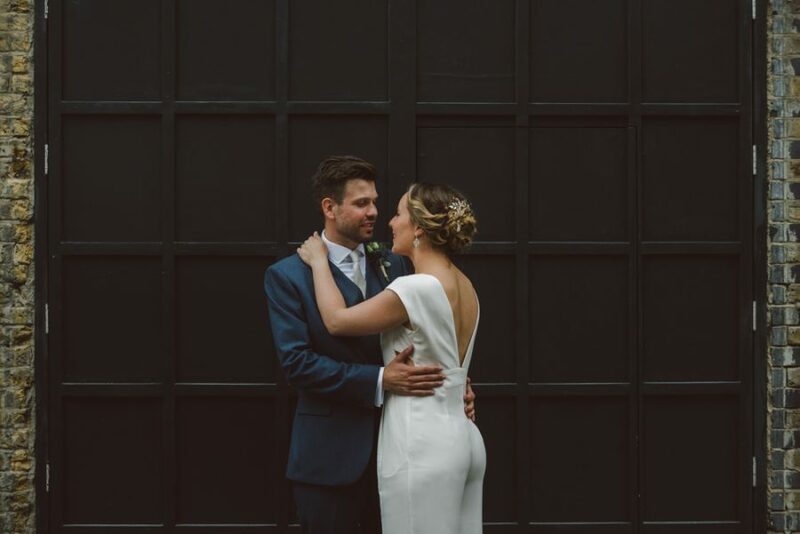 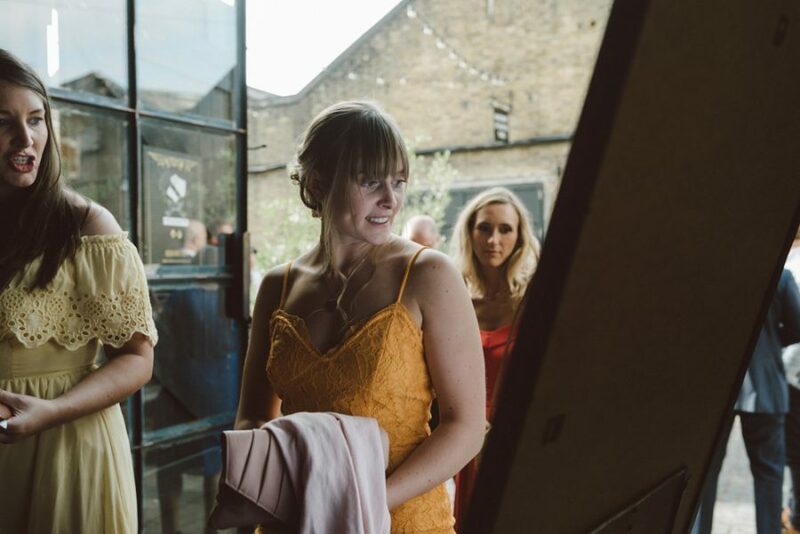 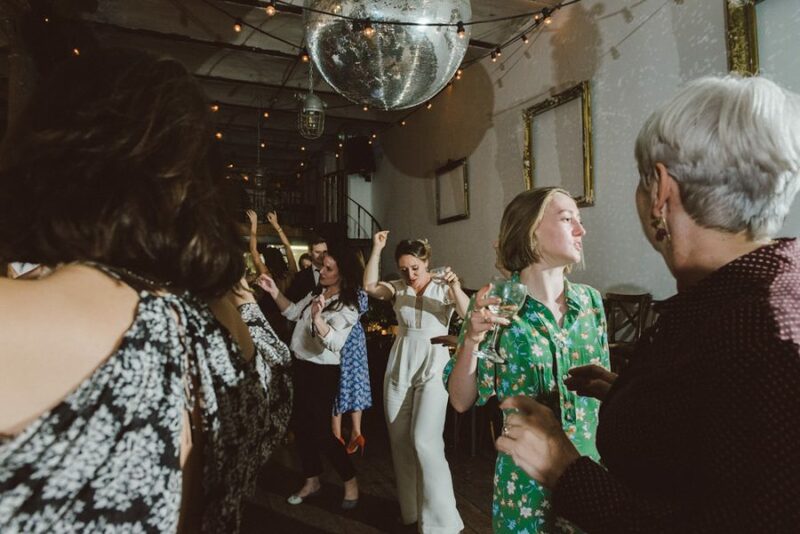 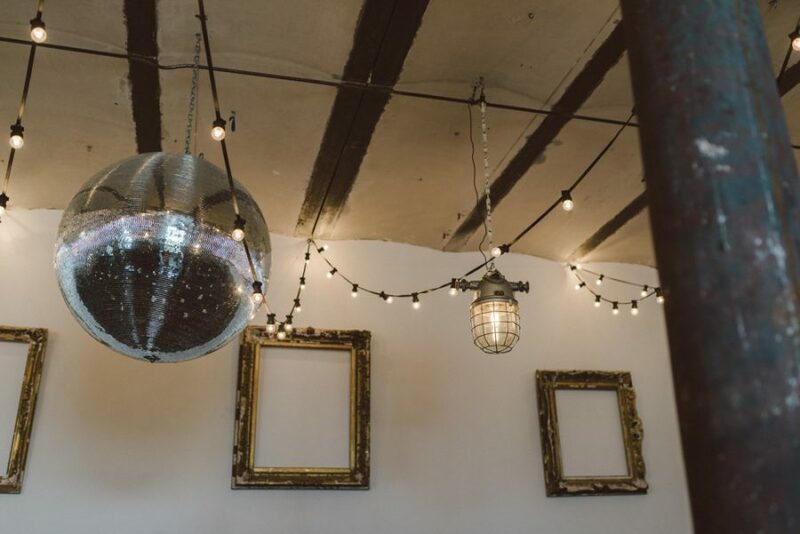 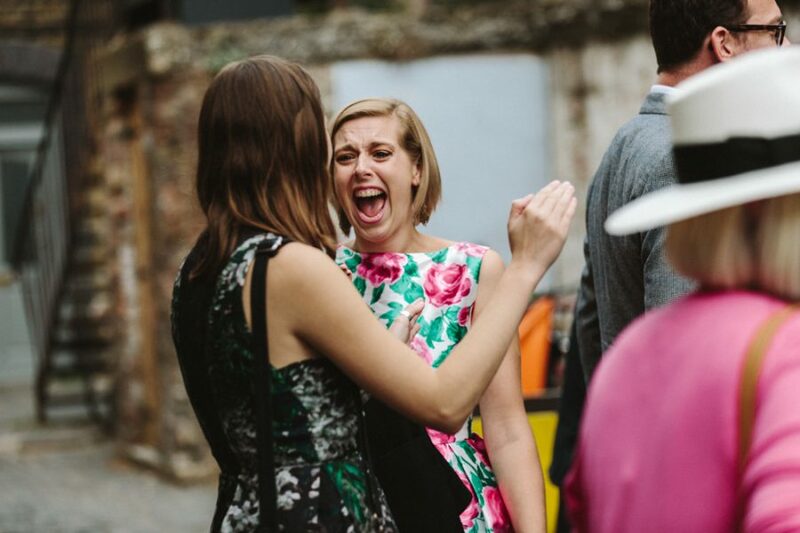 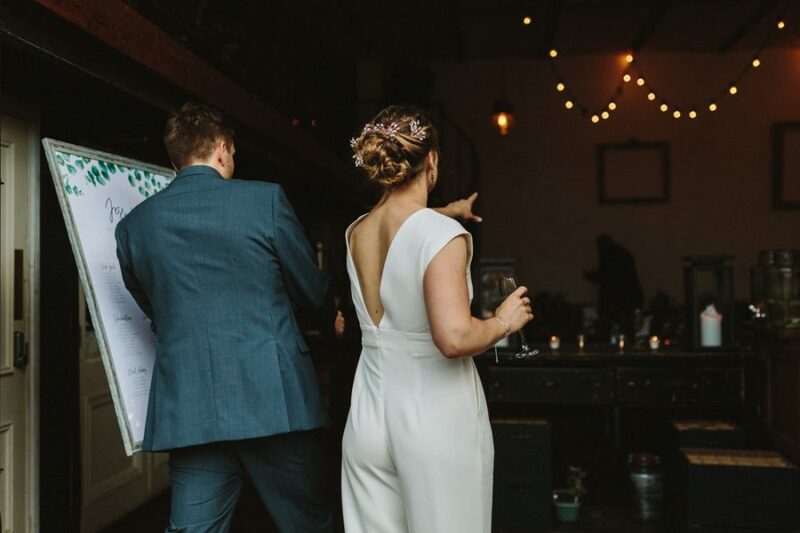 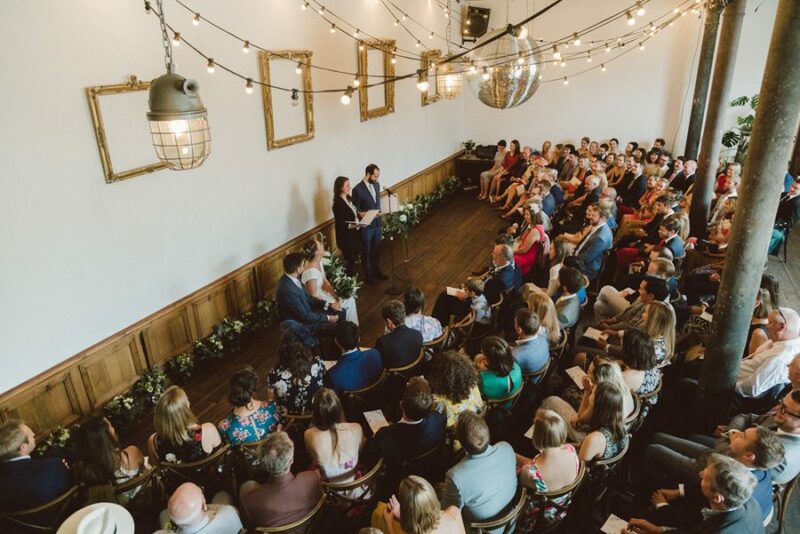 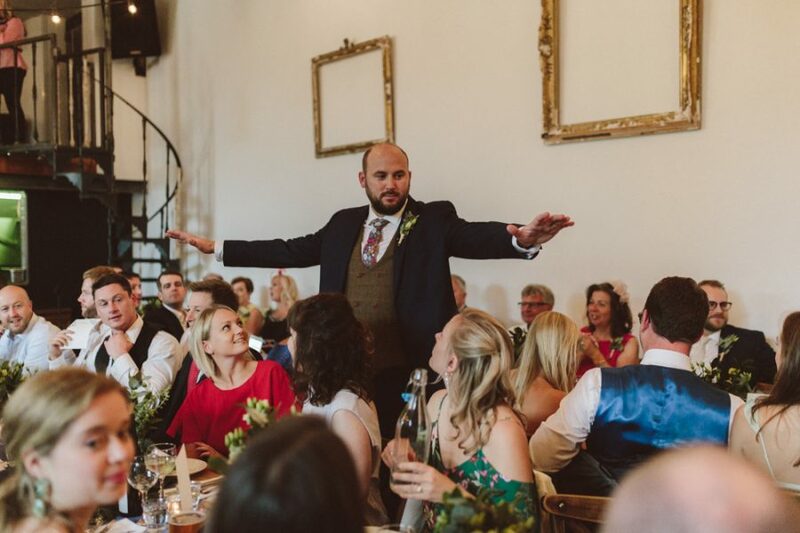 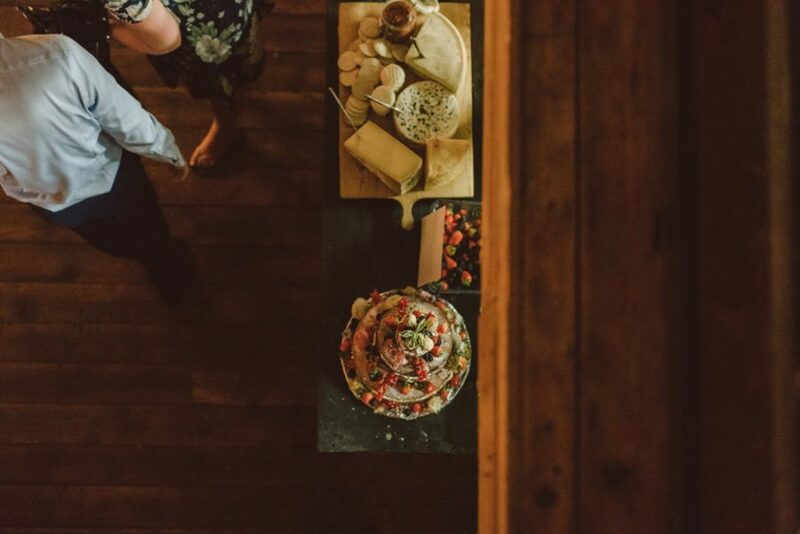 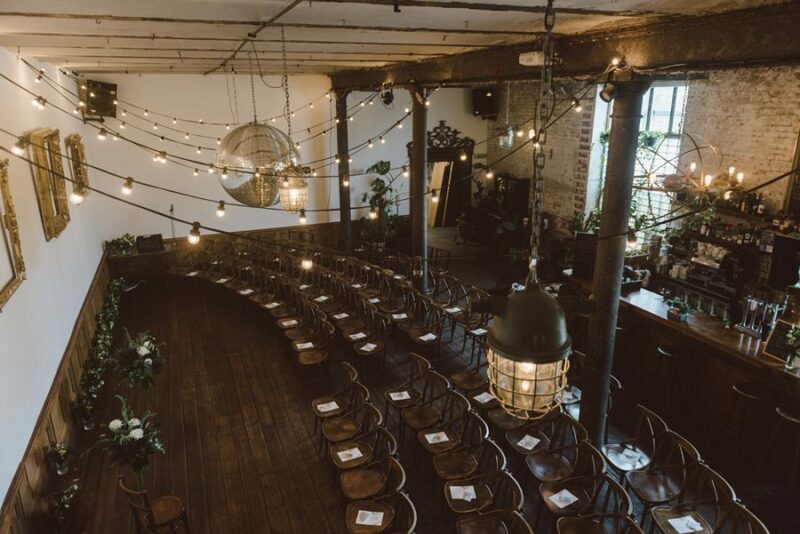 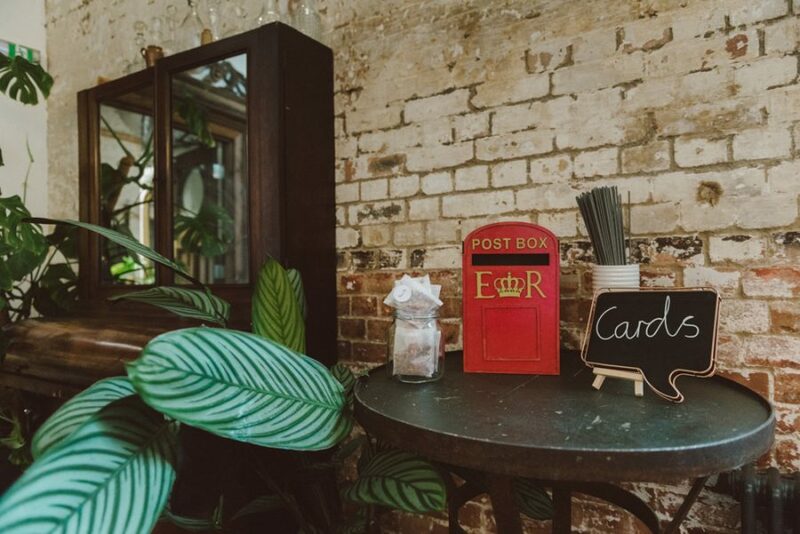 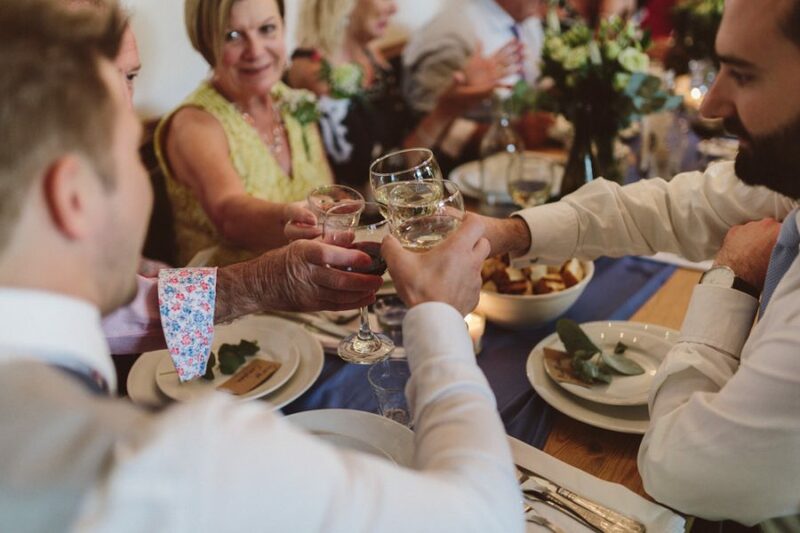 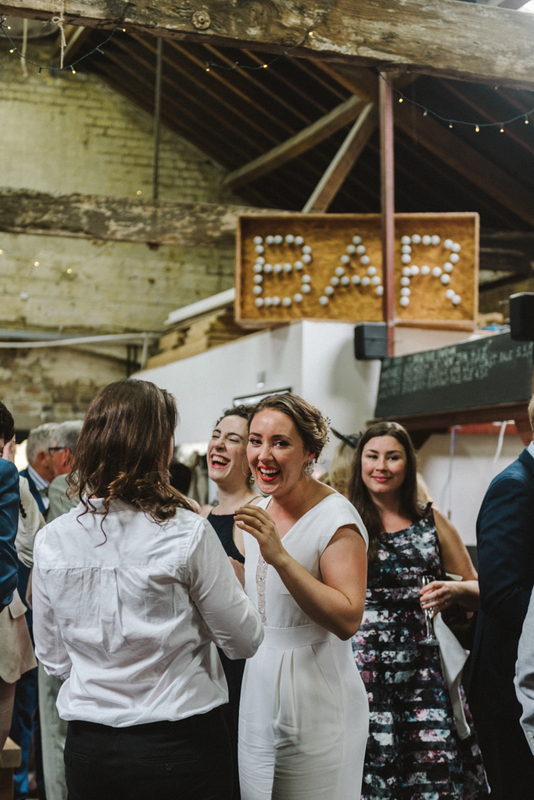 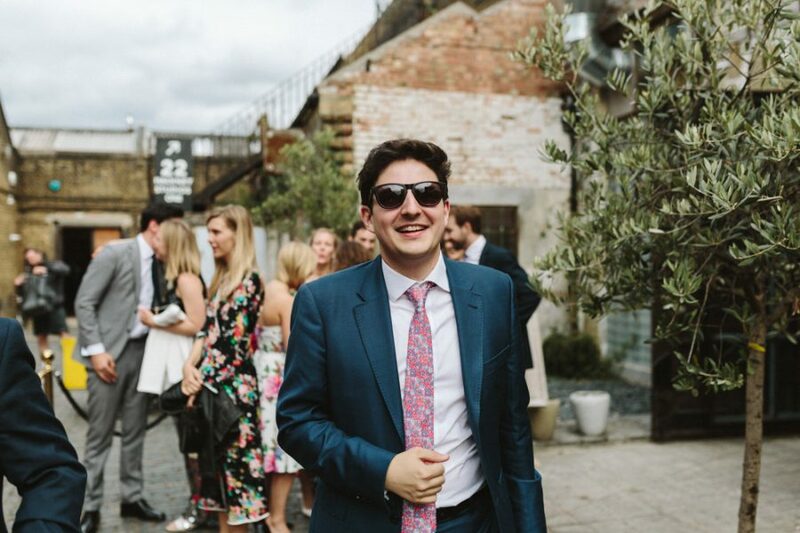 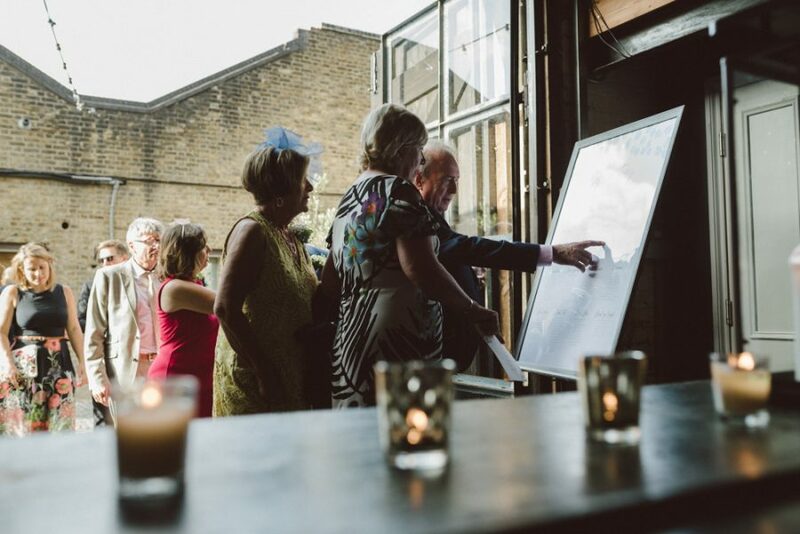 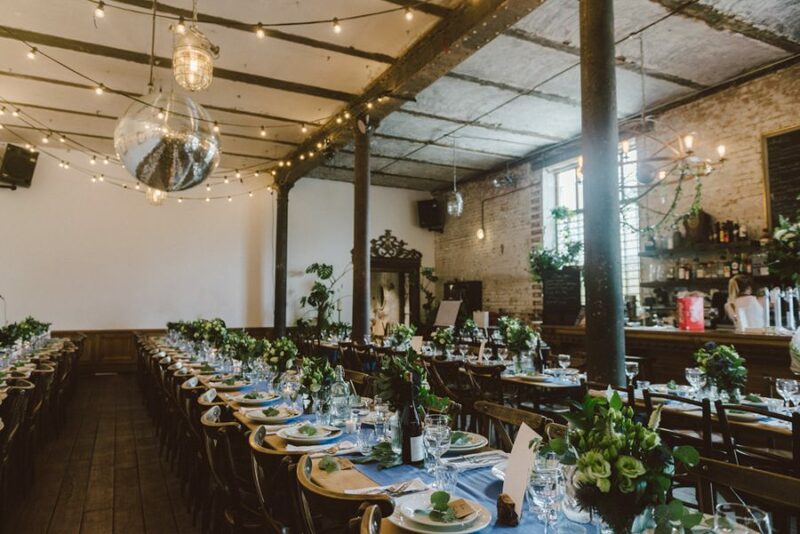 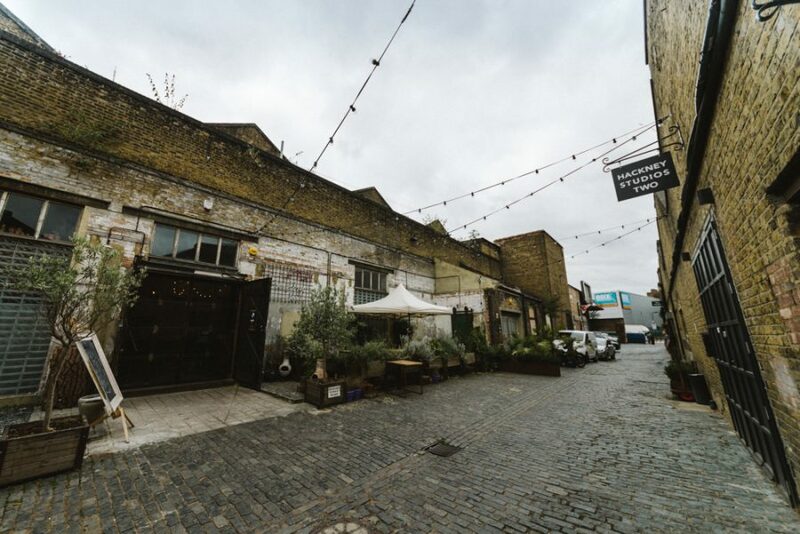 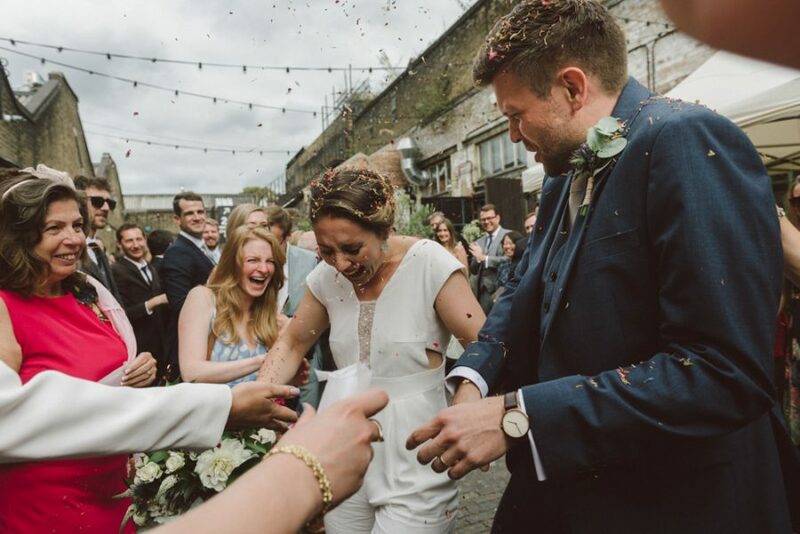 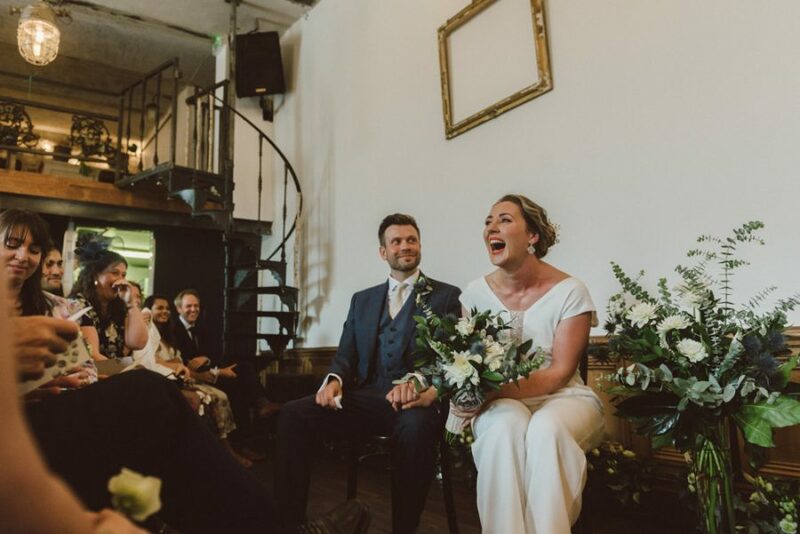 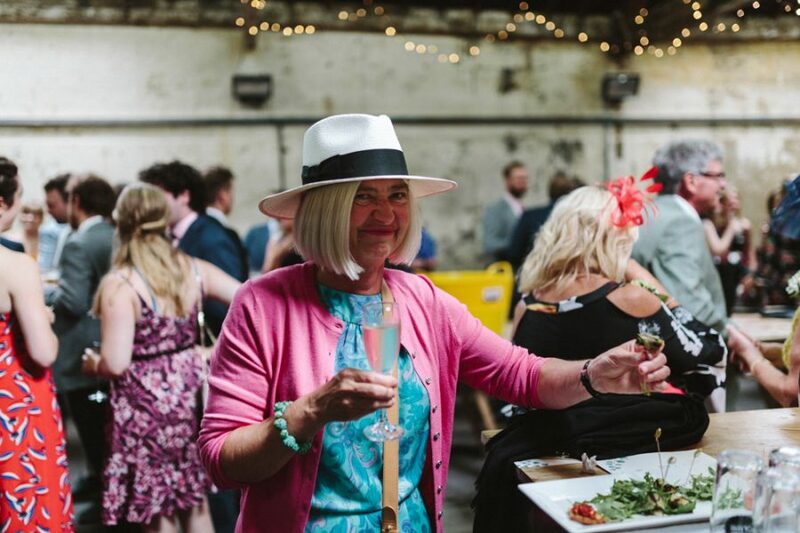 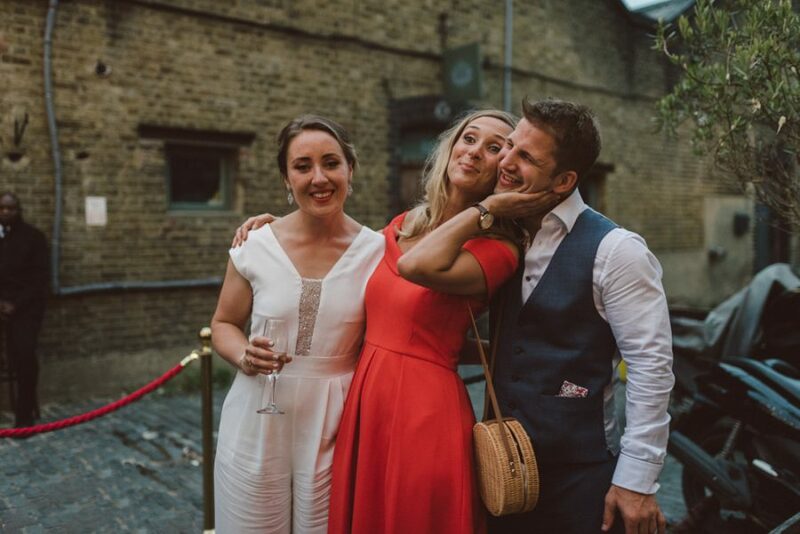 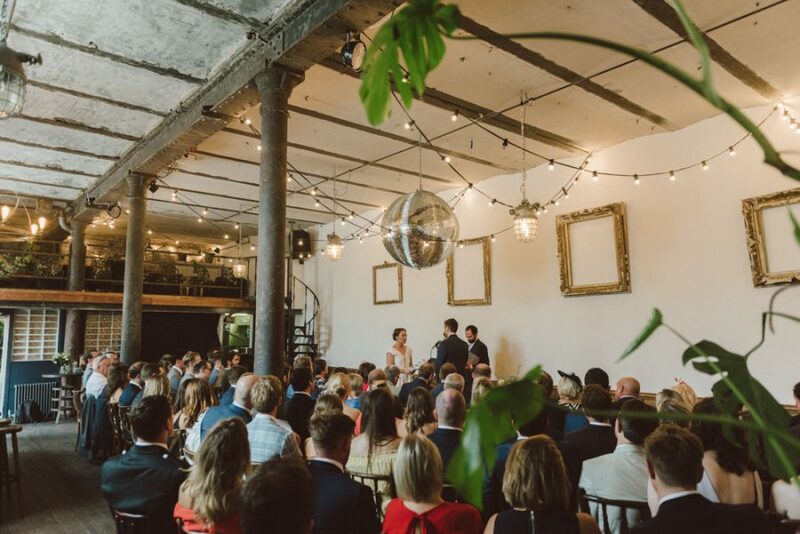 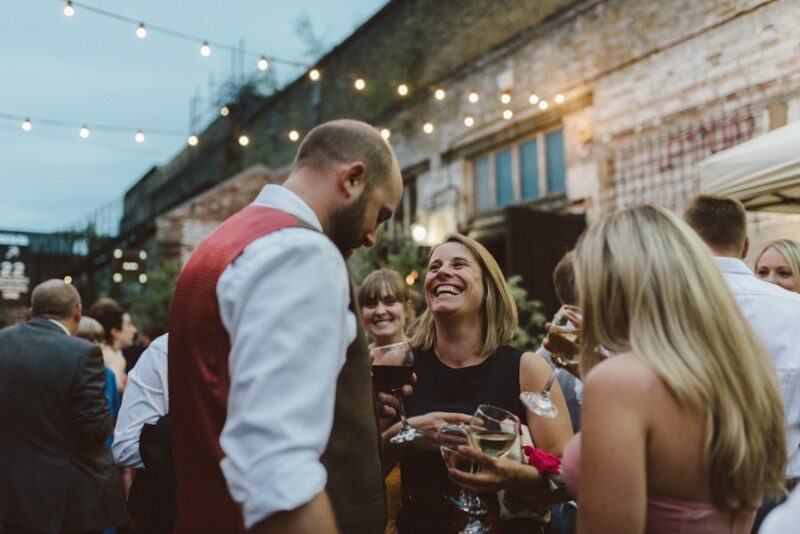 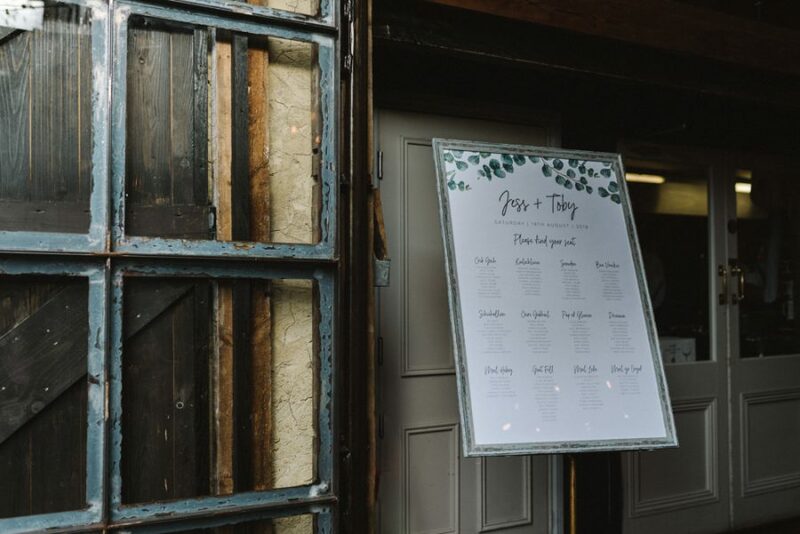 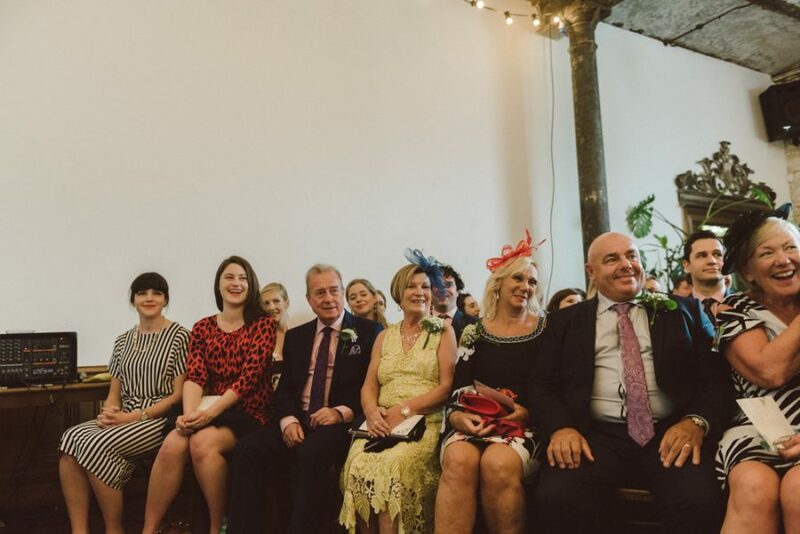 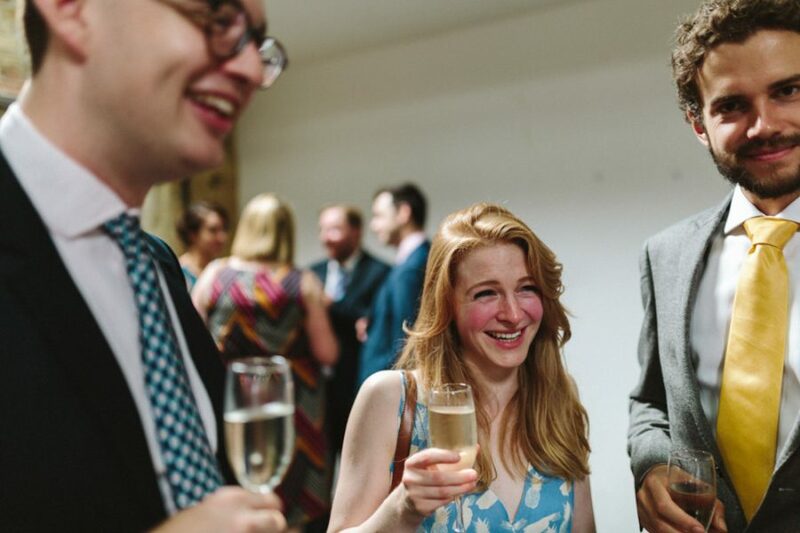 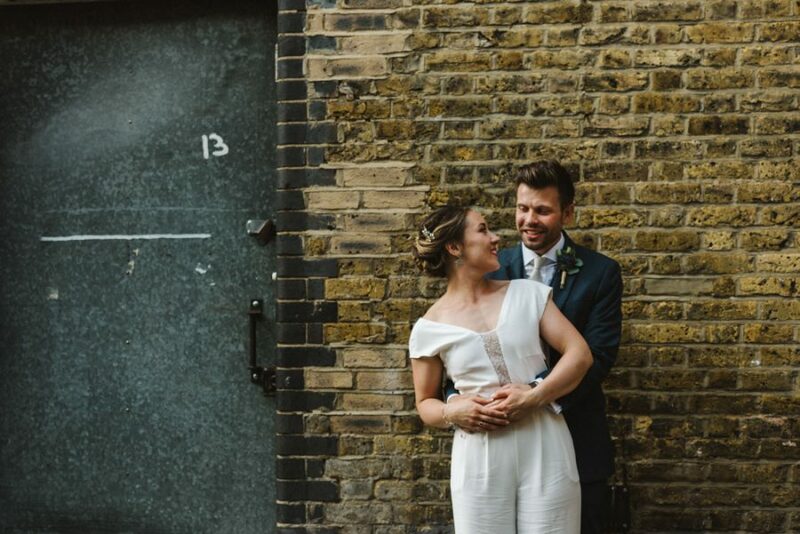 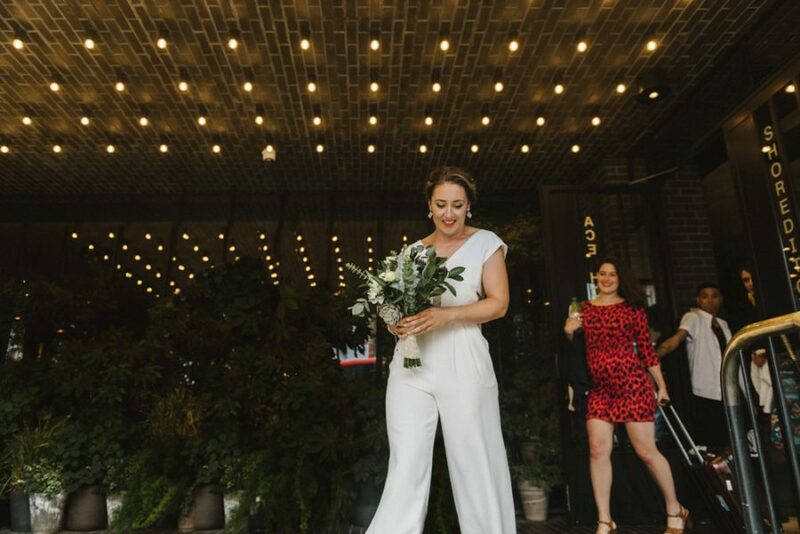 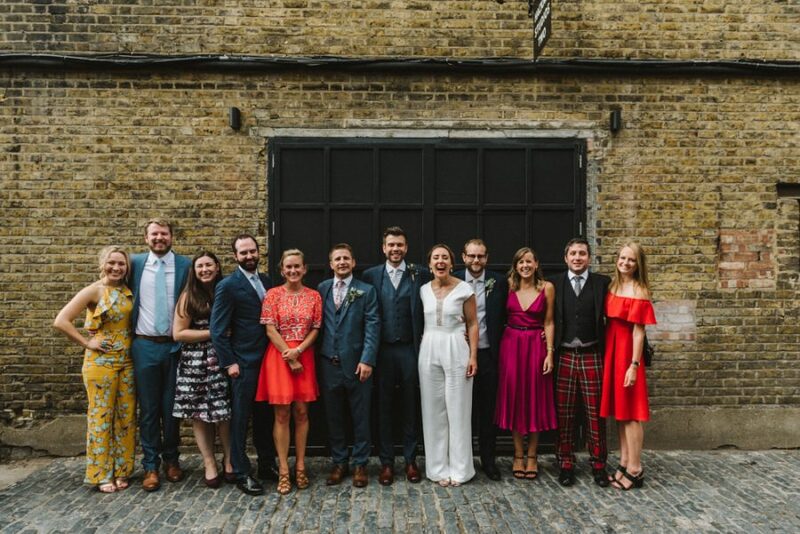 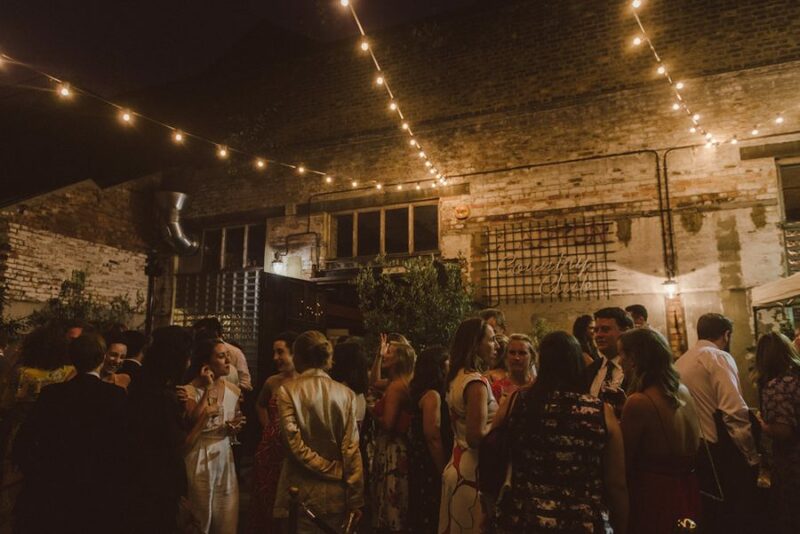 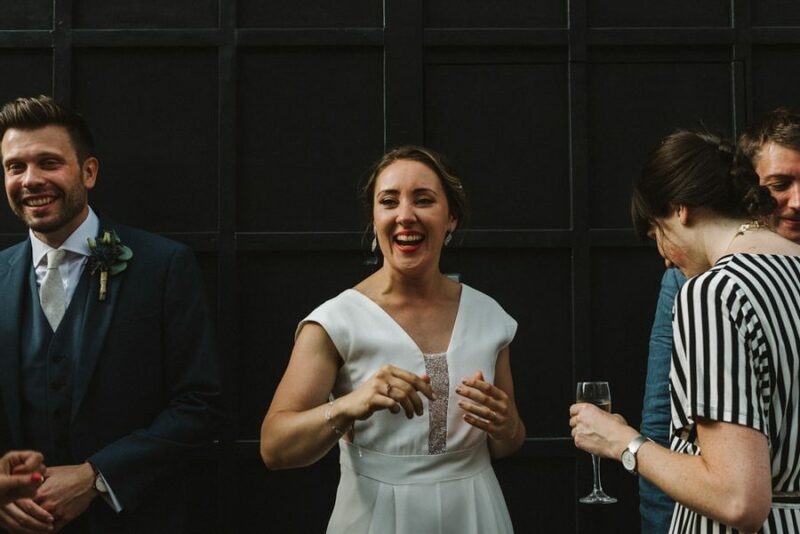 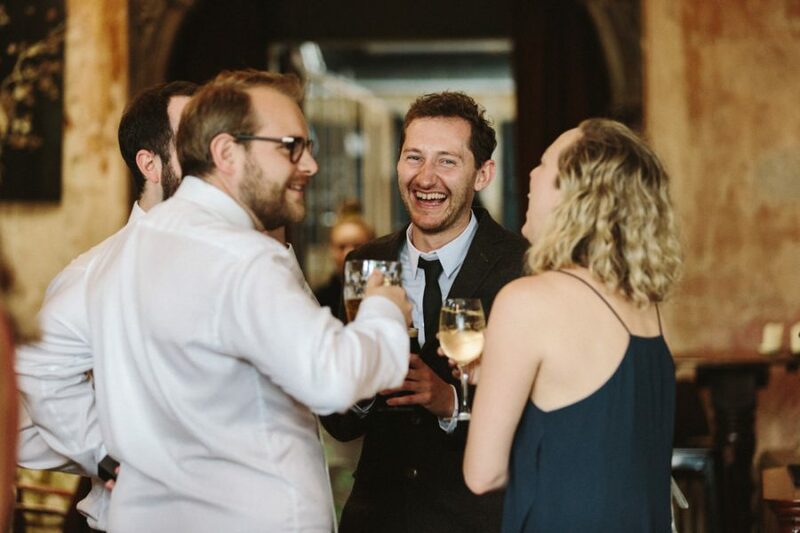 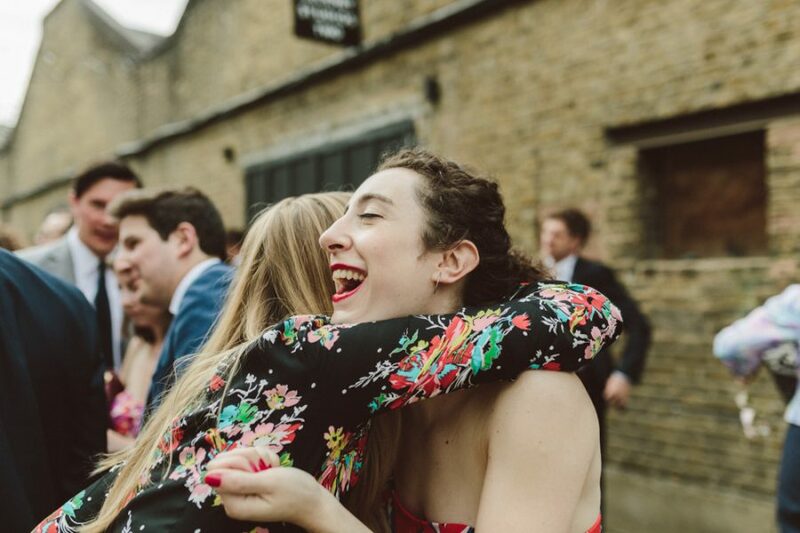 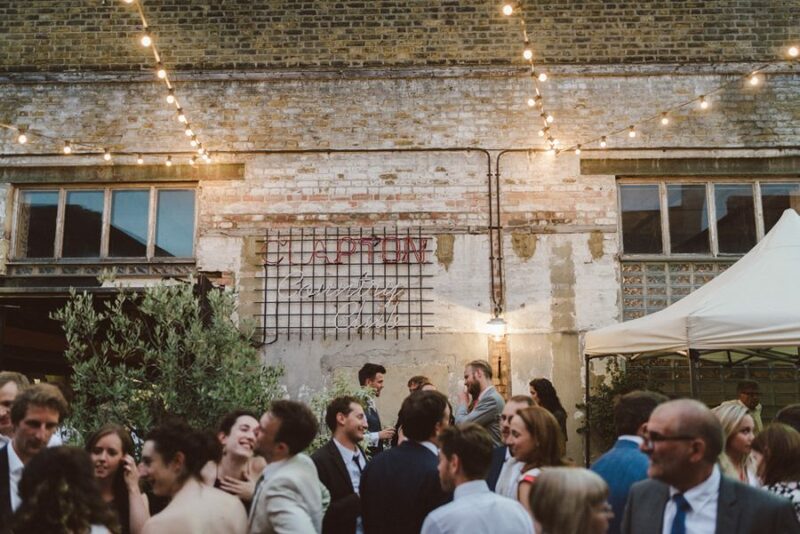 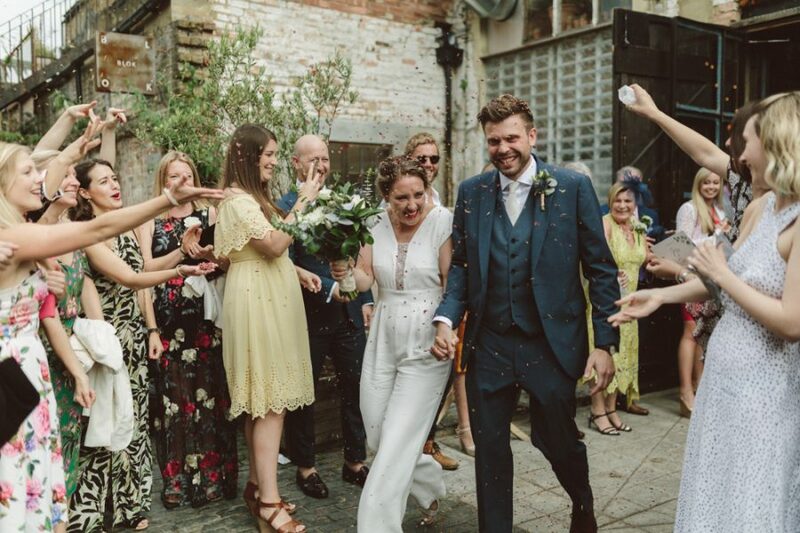 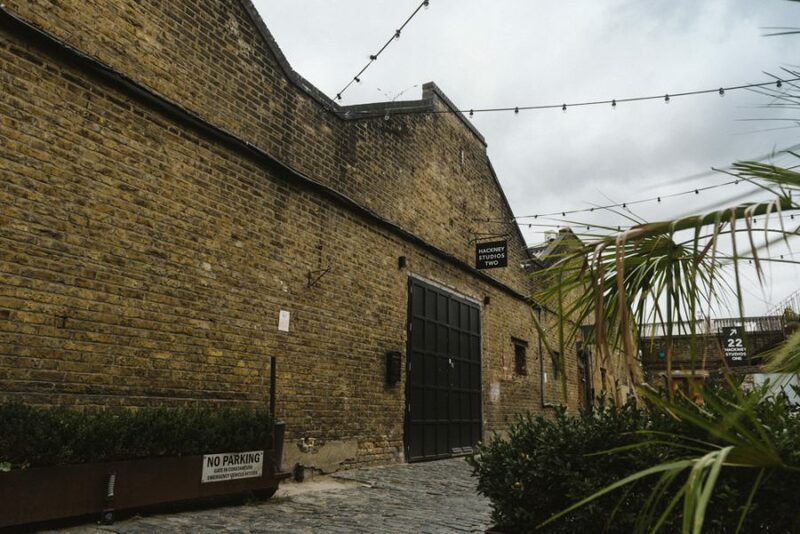 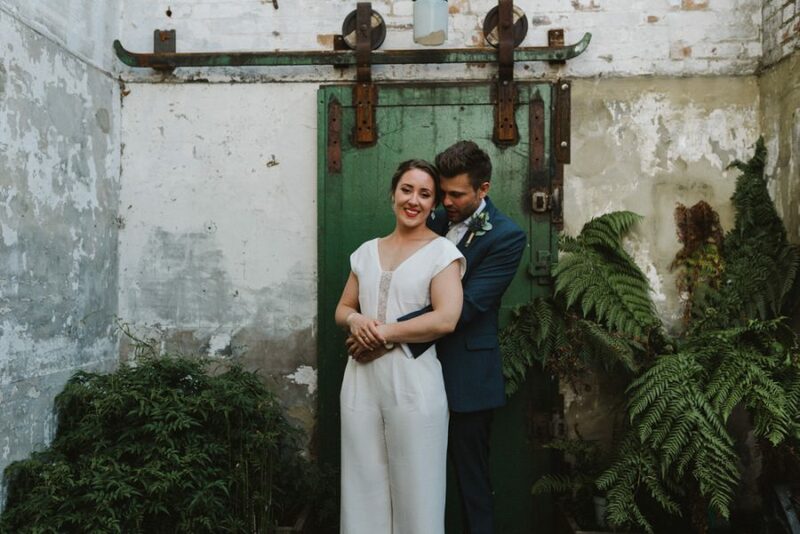 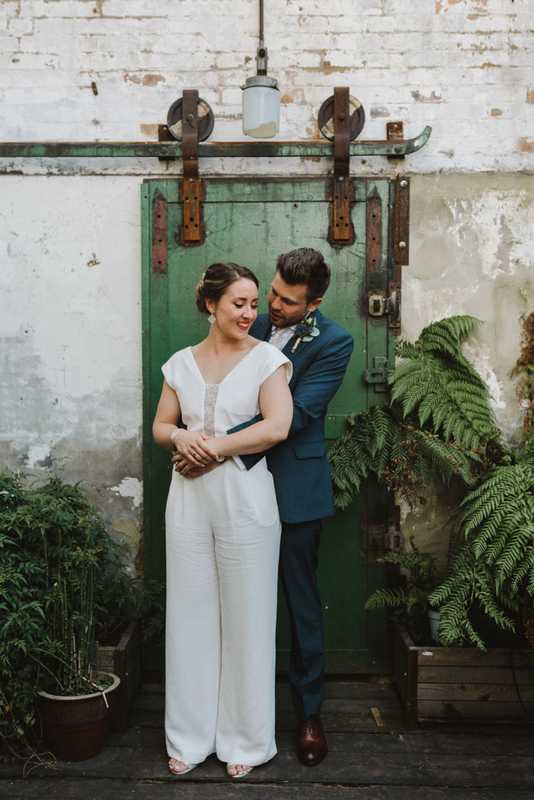 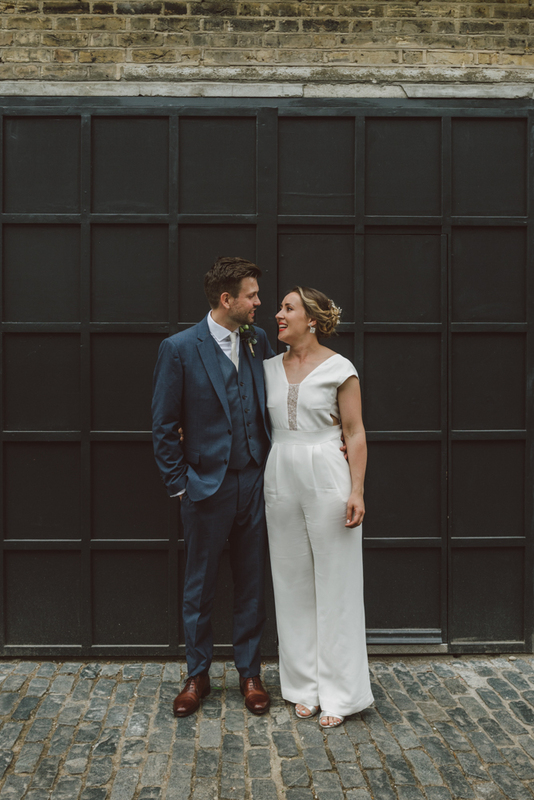 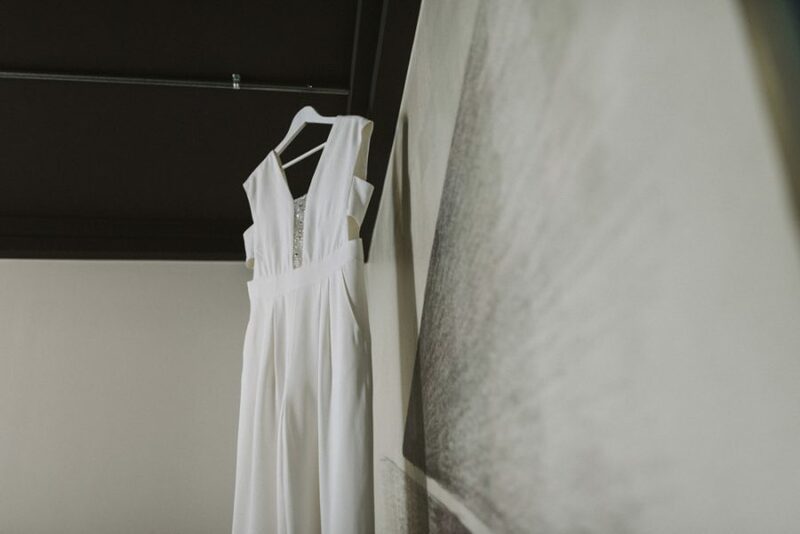 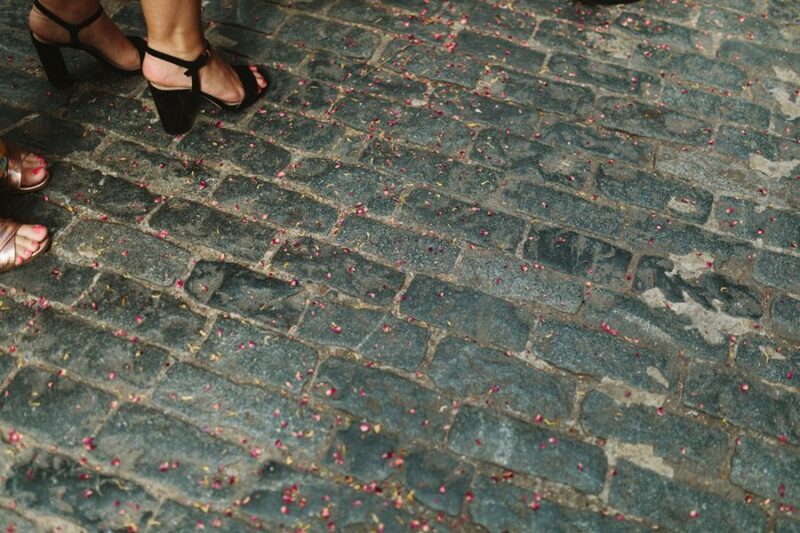 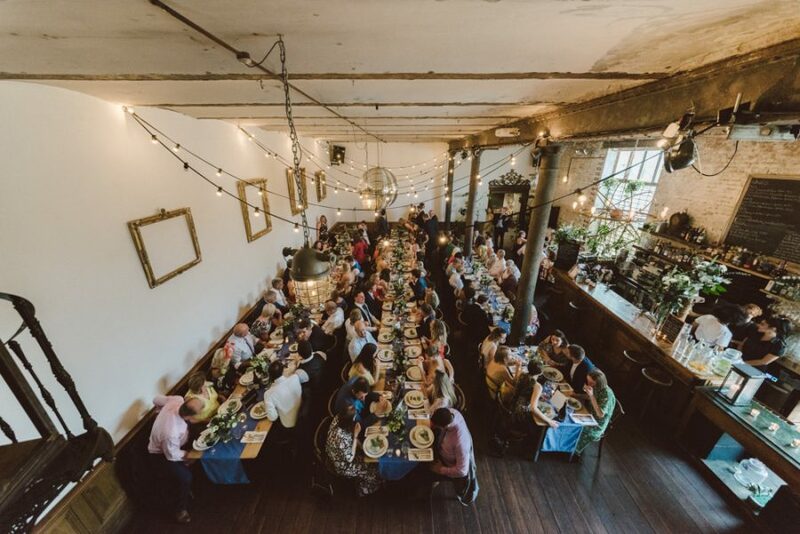 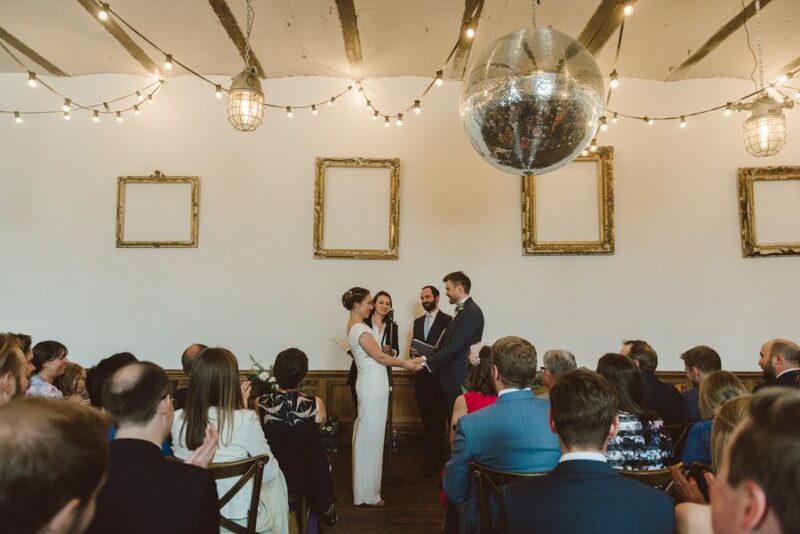 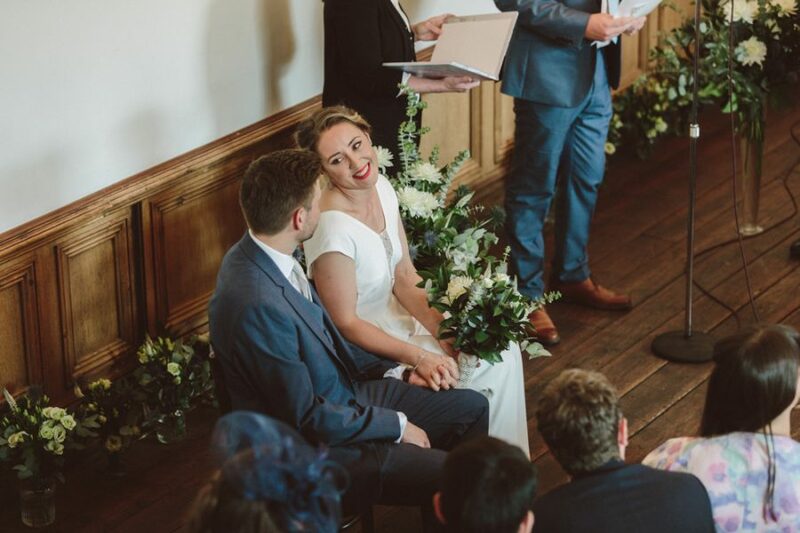 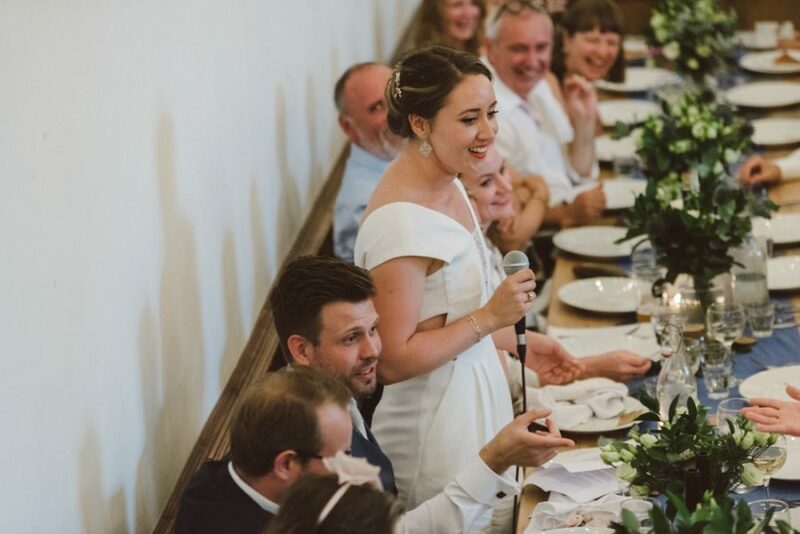 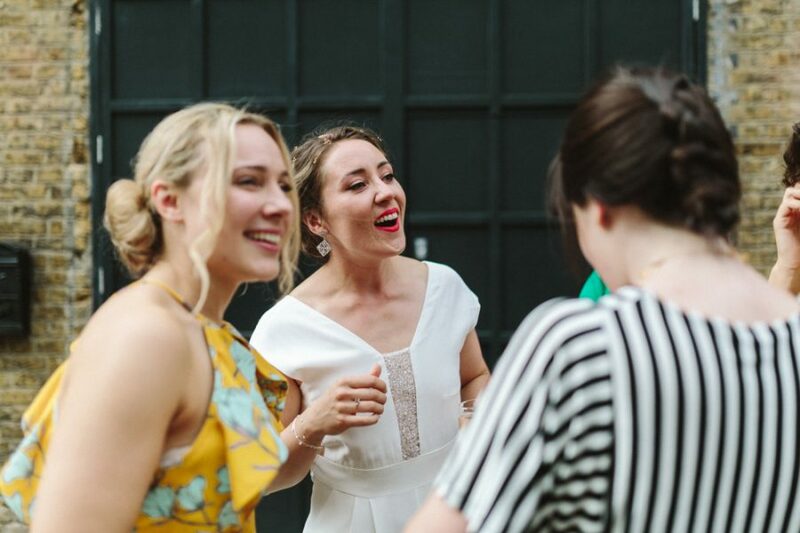 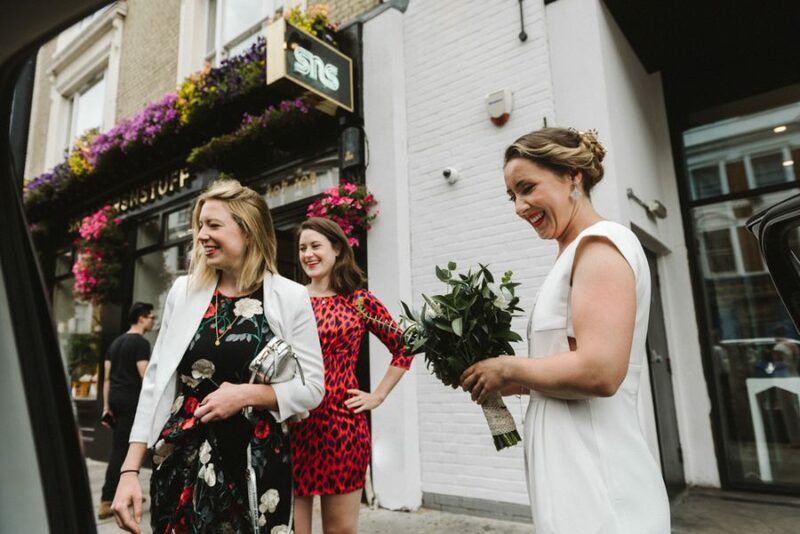 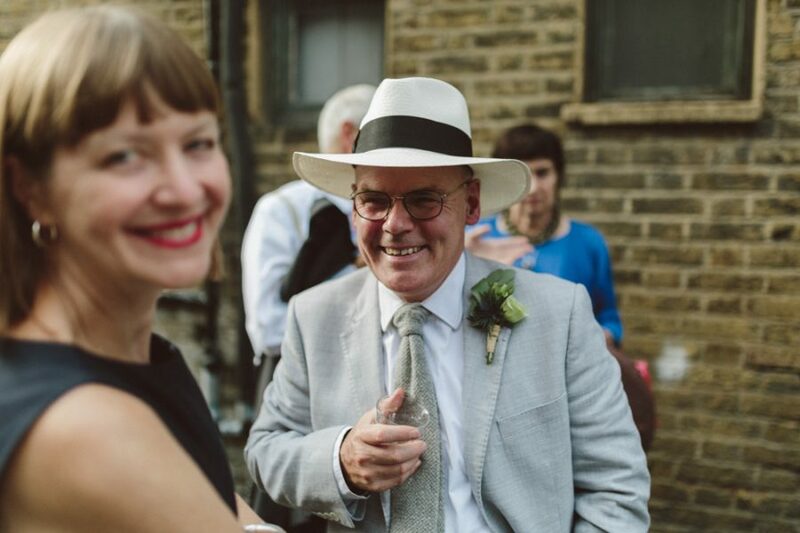 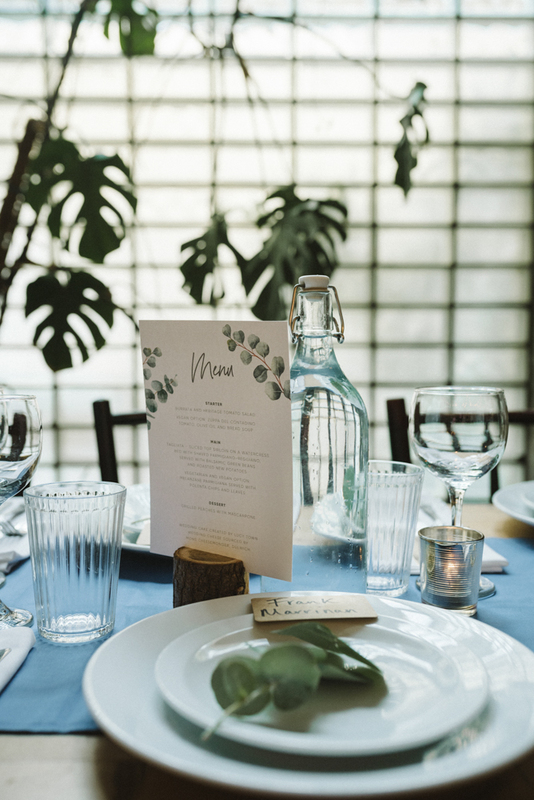 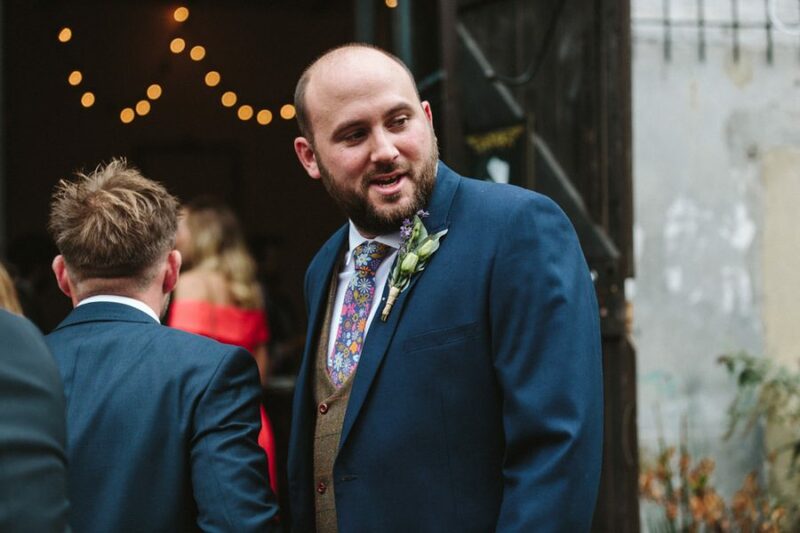 Being a summer wedding, the mews was the perfect setting for guests to catch their breath and get some summer evening air. 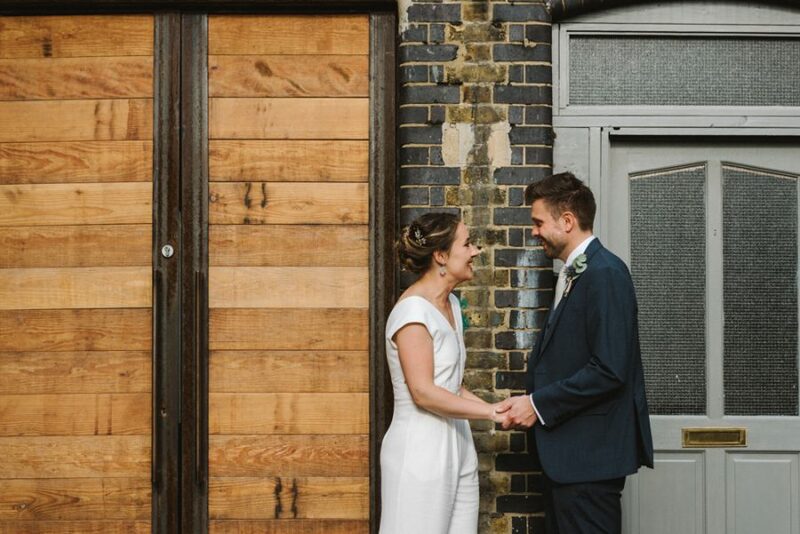 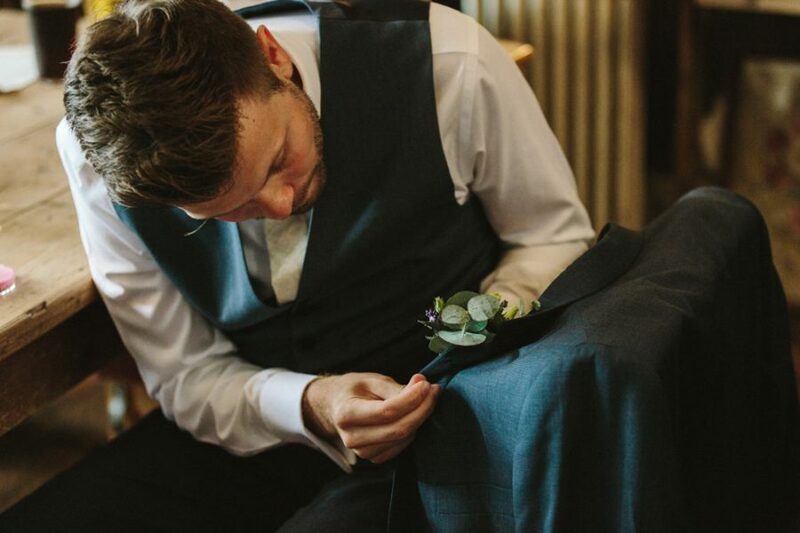 Although I am a Leeds based Yorkshire wedding photographer, I travel across the country (and beyond!) 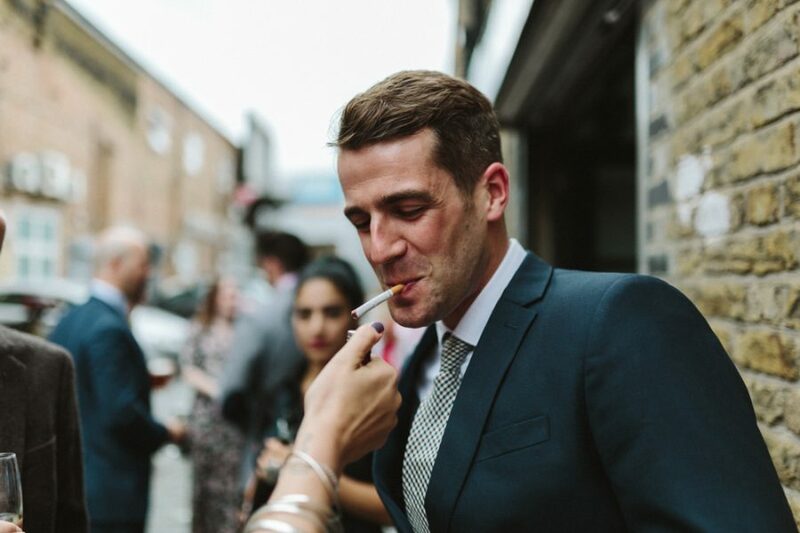 to photograph weddings. 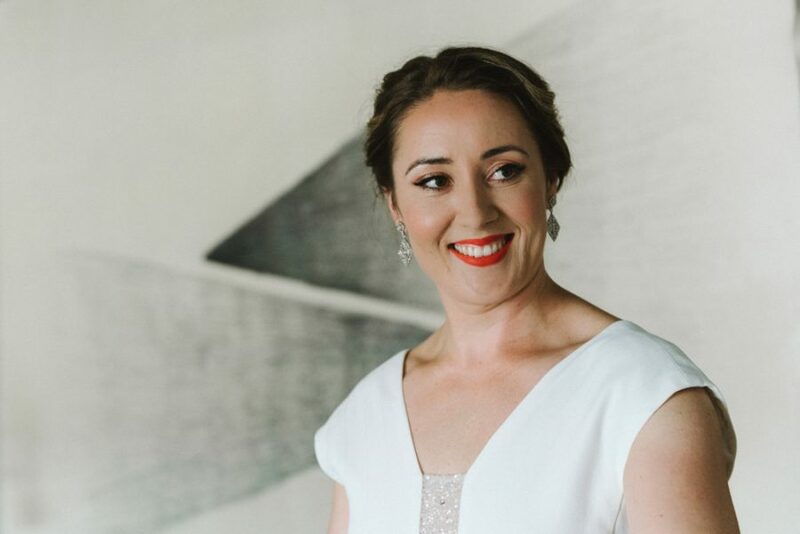 You can get in touch with me via the Contact Form, Facebook or by phone (see contact form) – let’s talk!